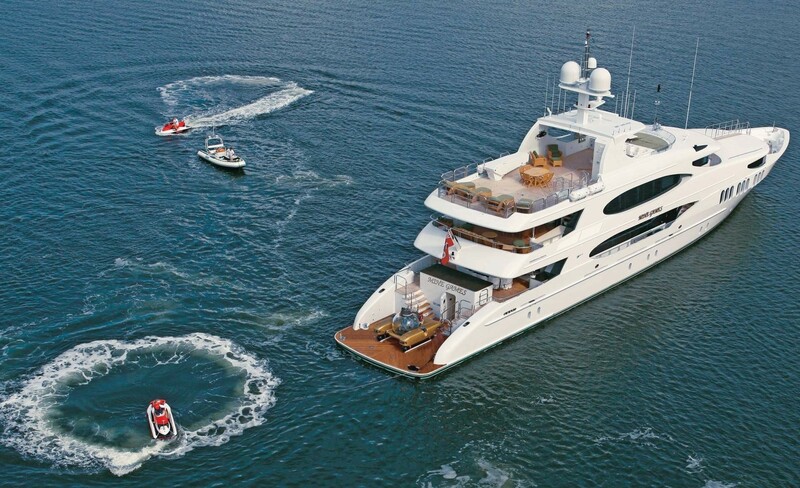 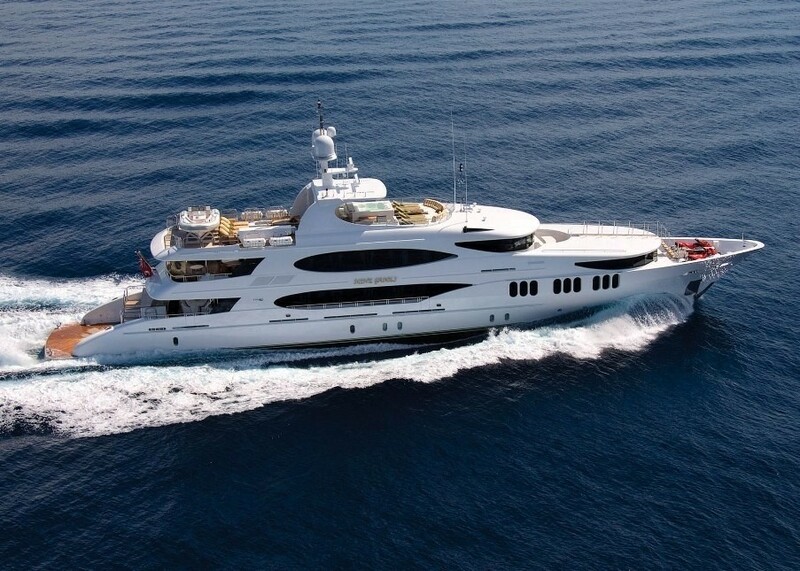 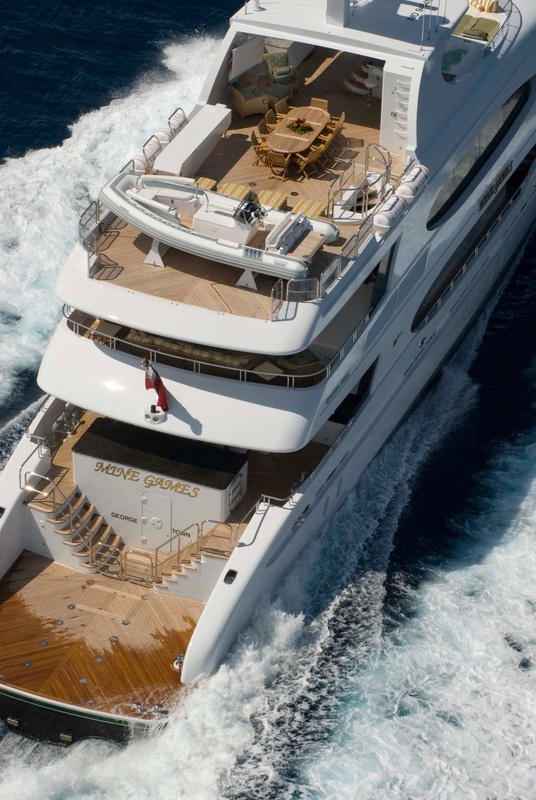 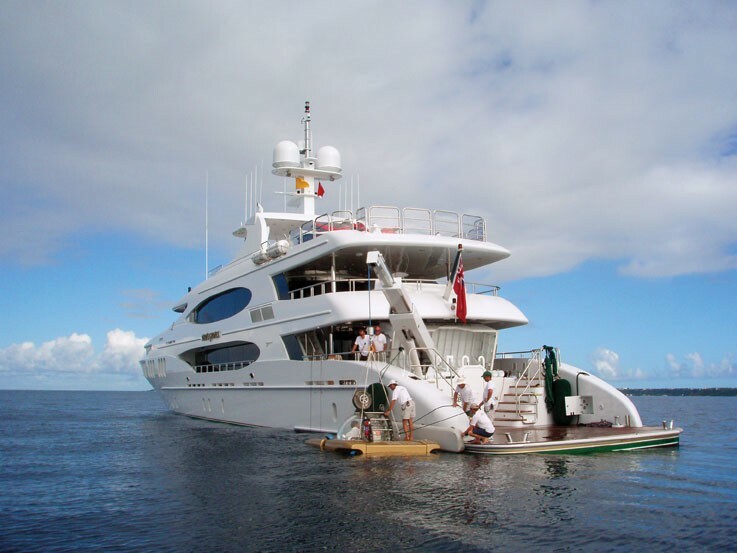 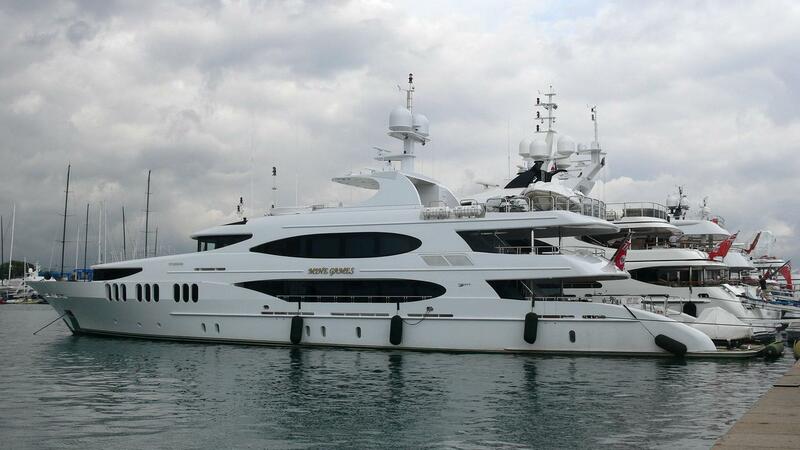 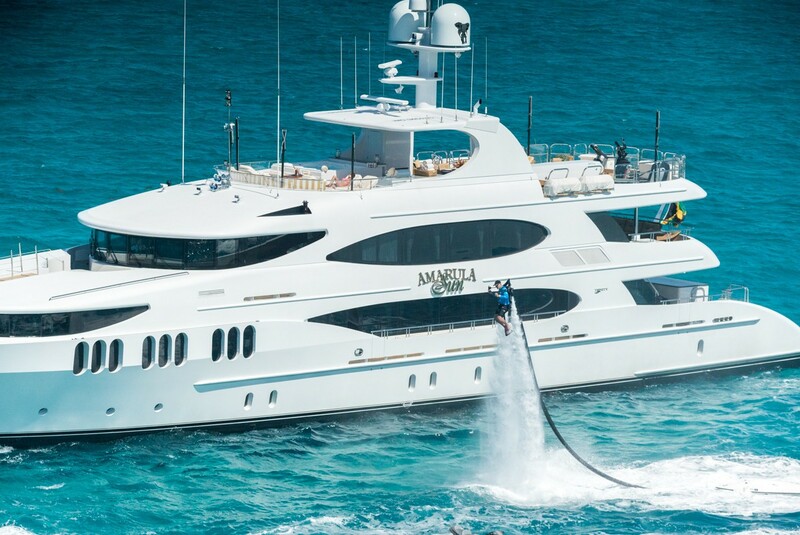 Yacht AMARULA SUN (ex MINE GAMES) is a 50m (164’) luxury motor yacht, built by Trinity Yachts, which is one of the world’s elite builders of custom superyachts. 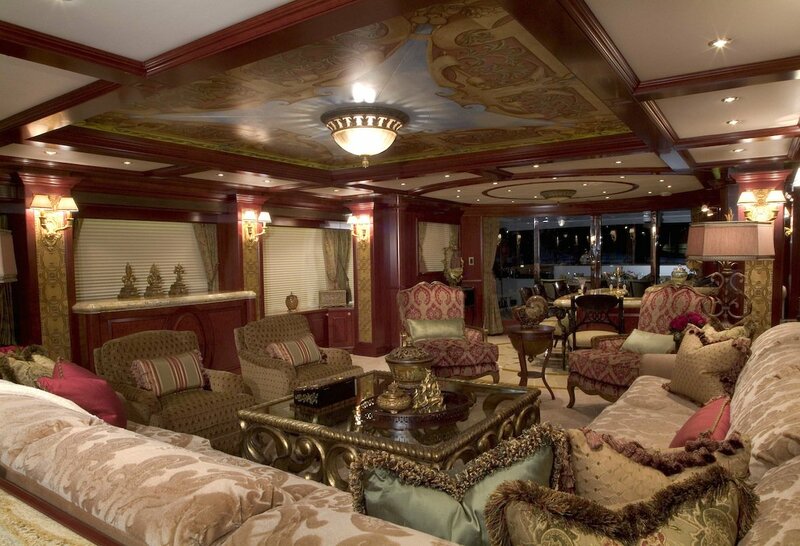 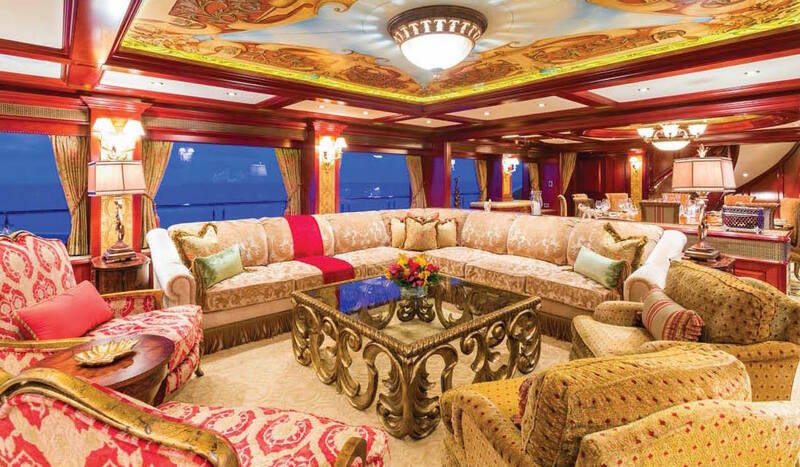 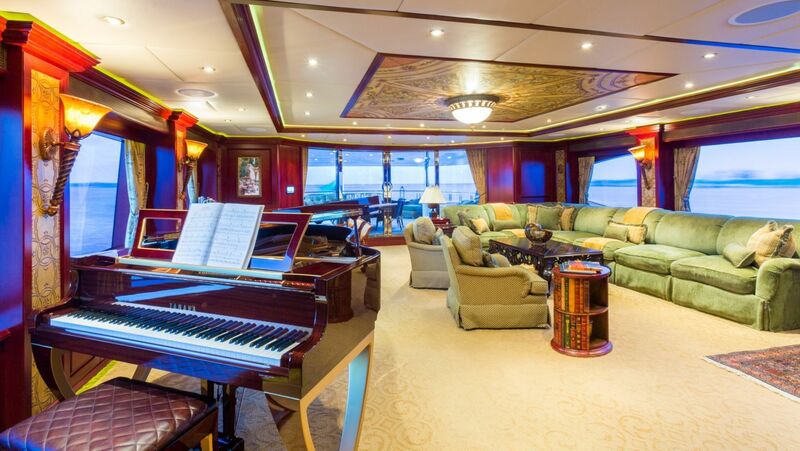 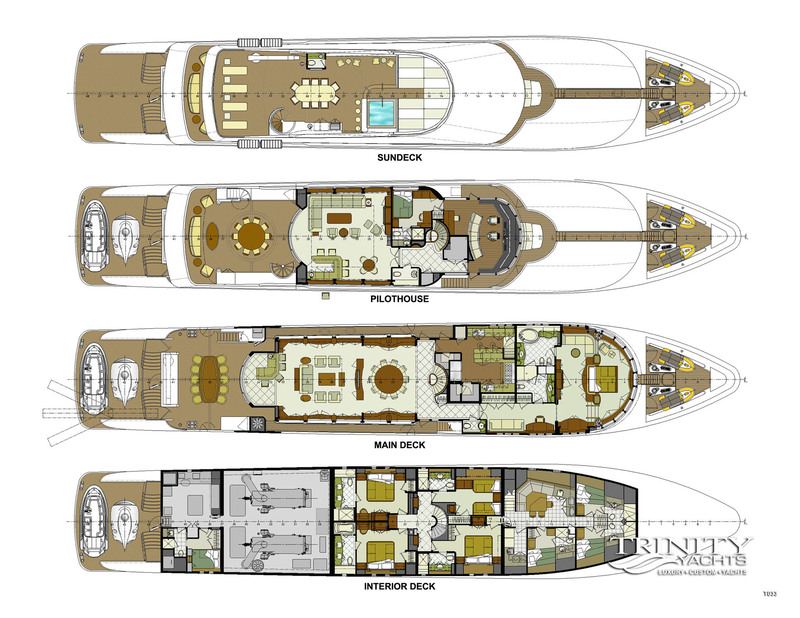 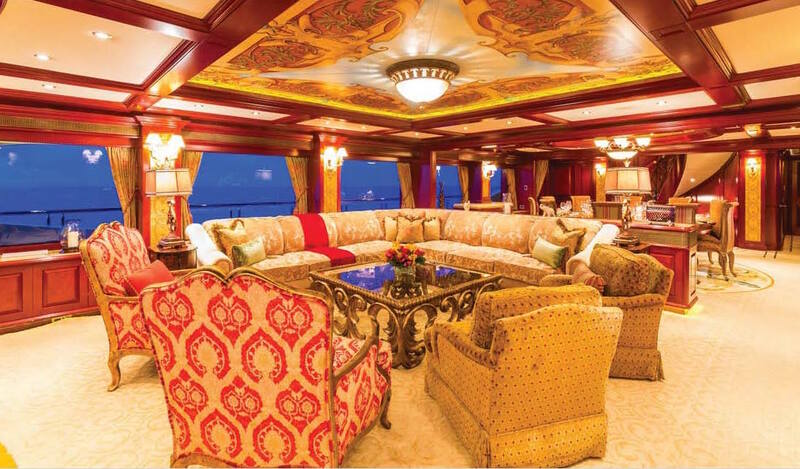 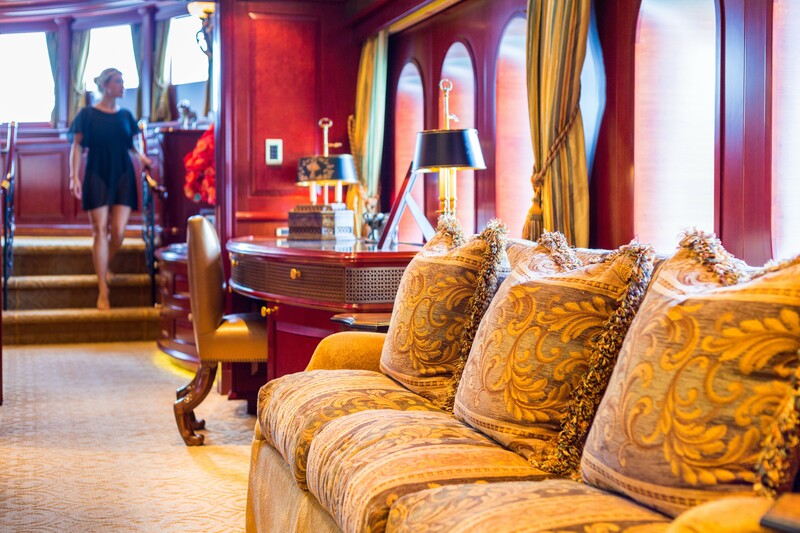 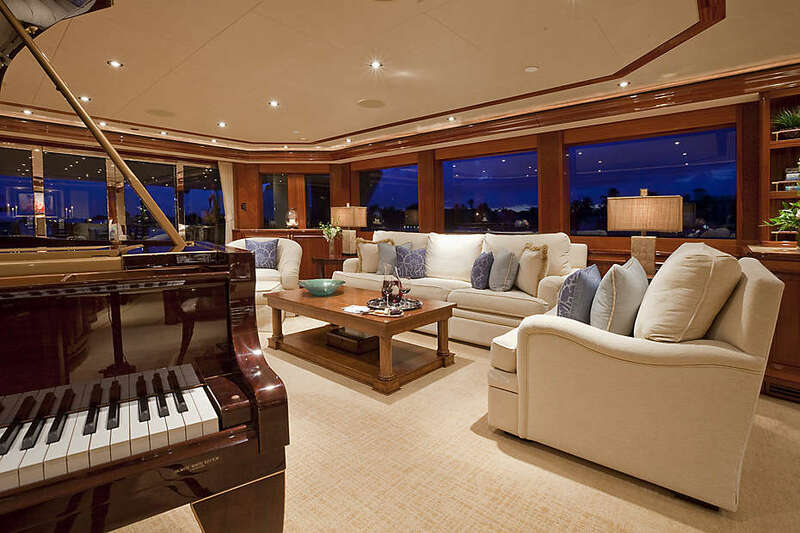 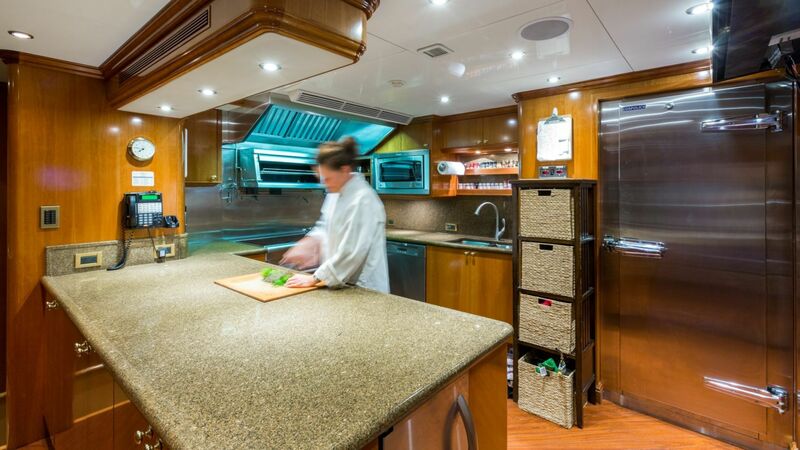 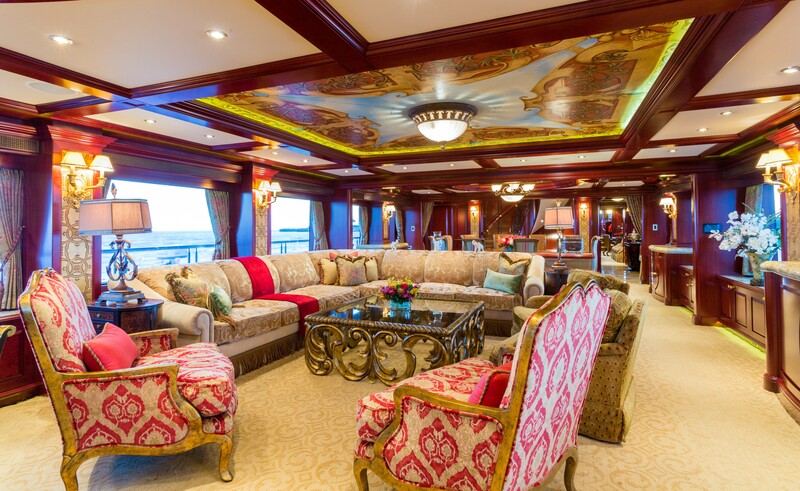 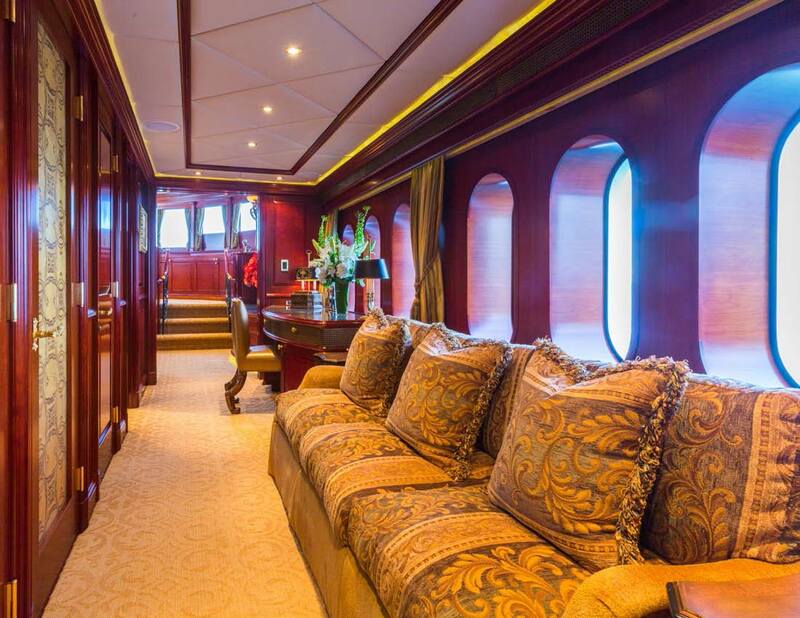 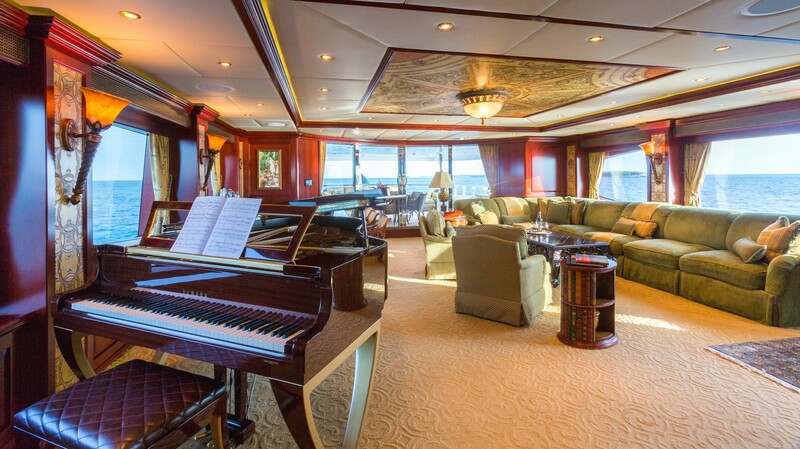 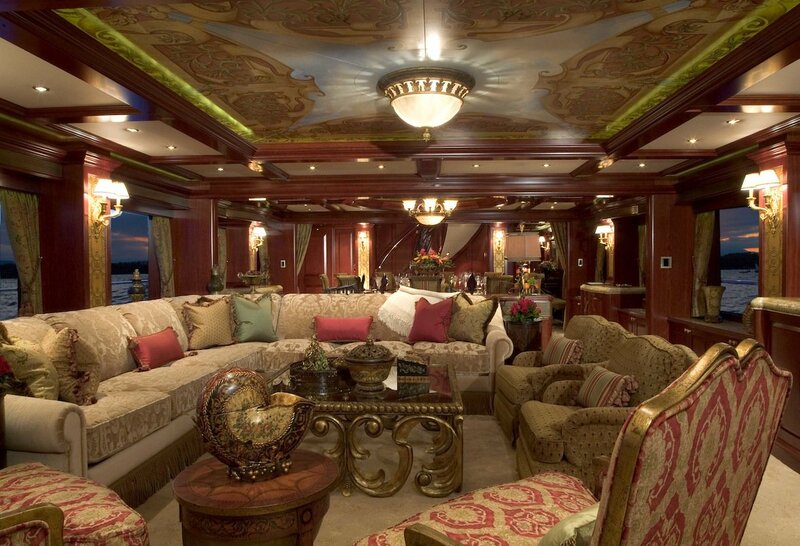 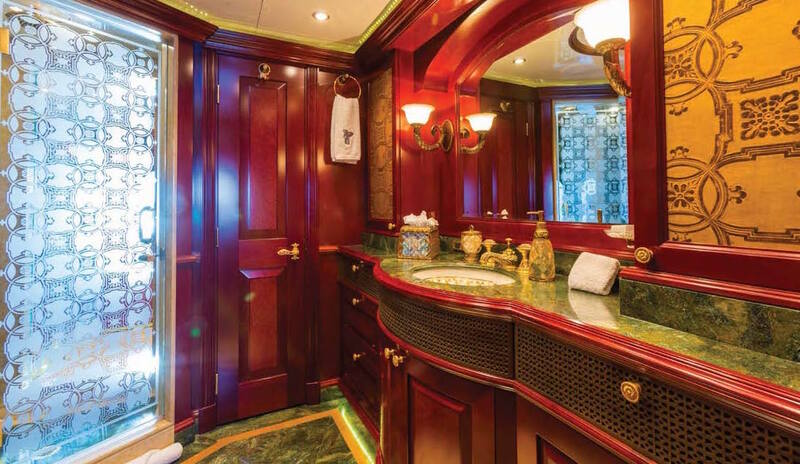 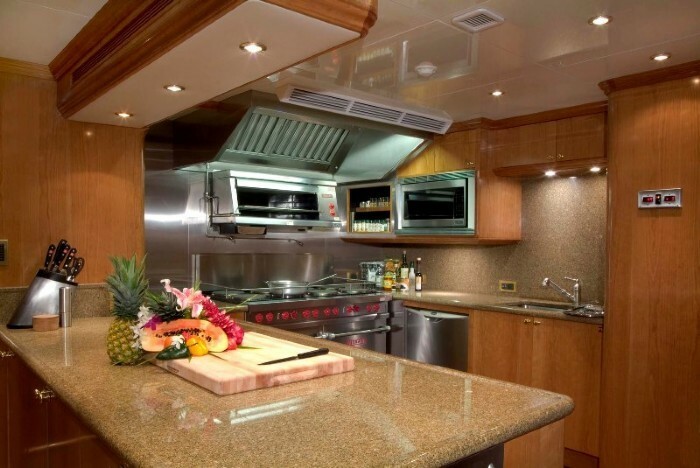 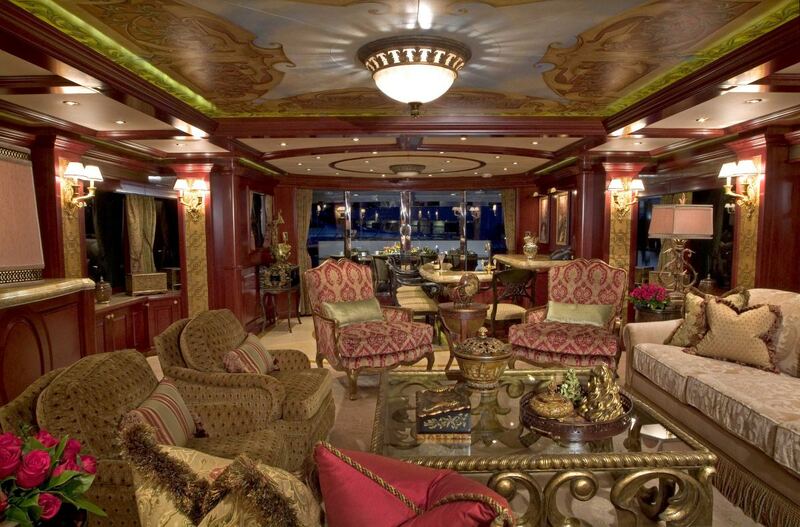 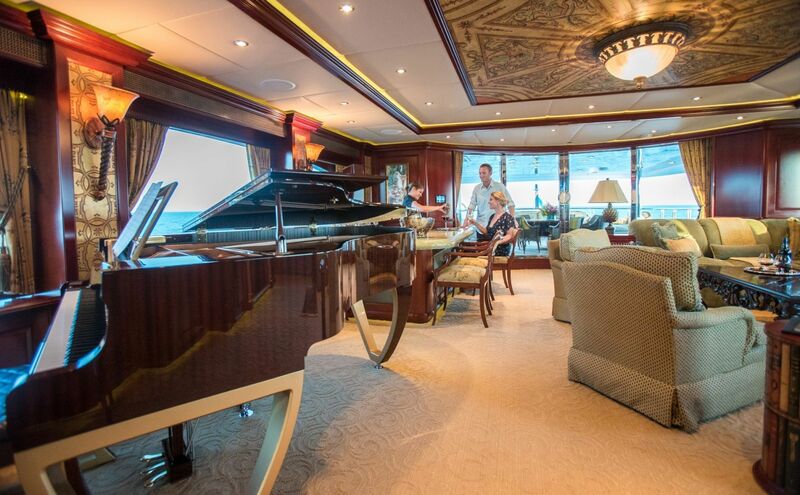 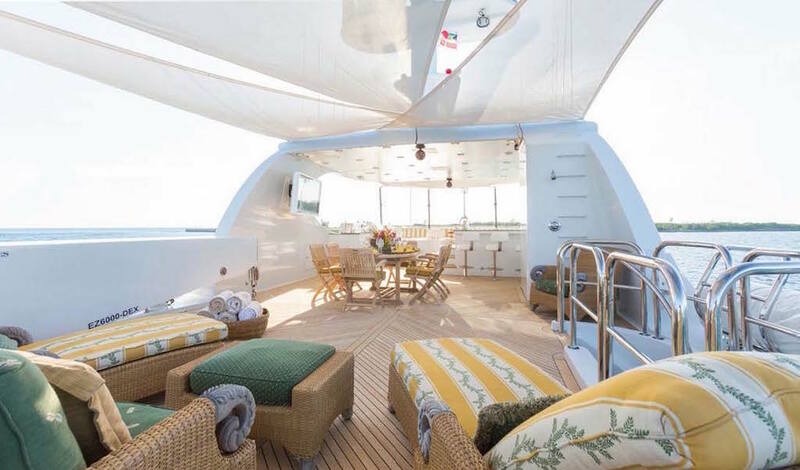 She features the interior handiwork of Patrick Knowles Designs, and with five luxurious staterooms, she can accommodate 10-12 guests on board. 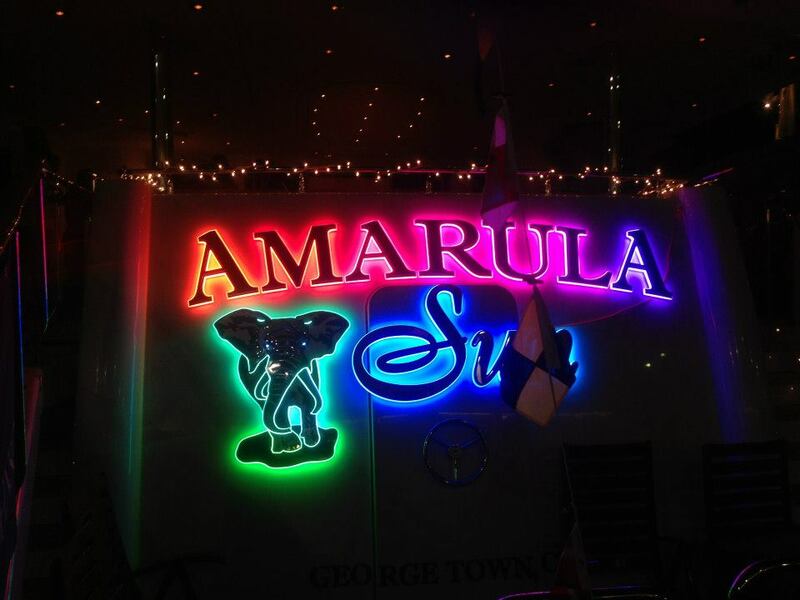 AMARULA SUN's main salon and dining room is open plan creating a light and airy atmosphere. 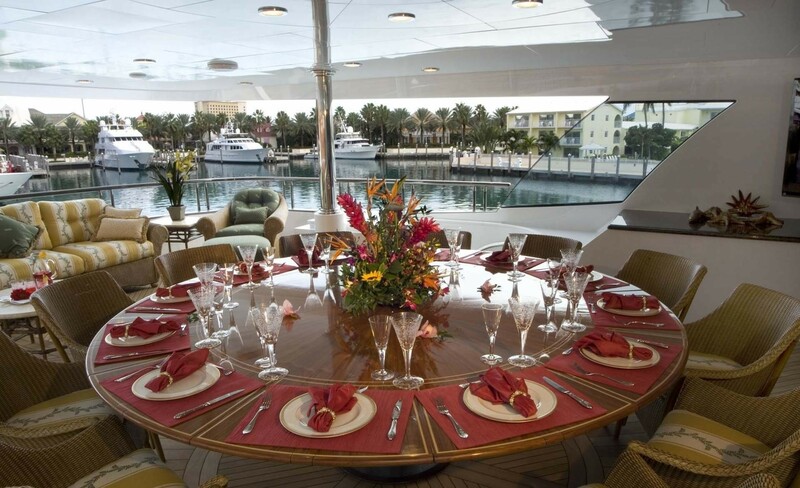 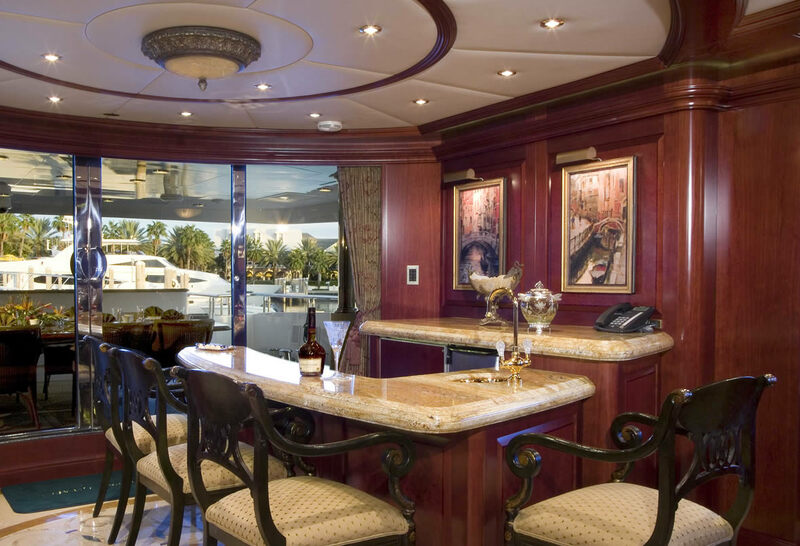 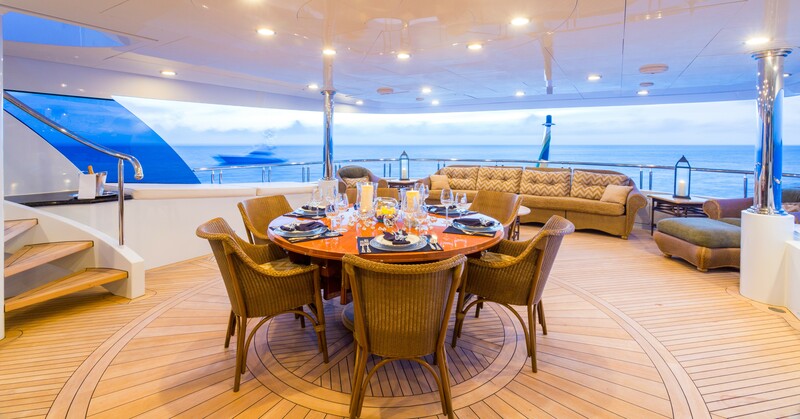 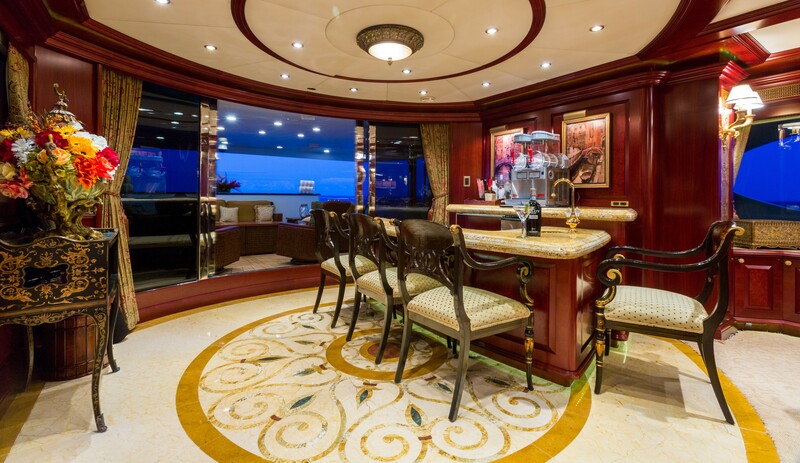 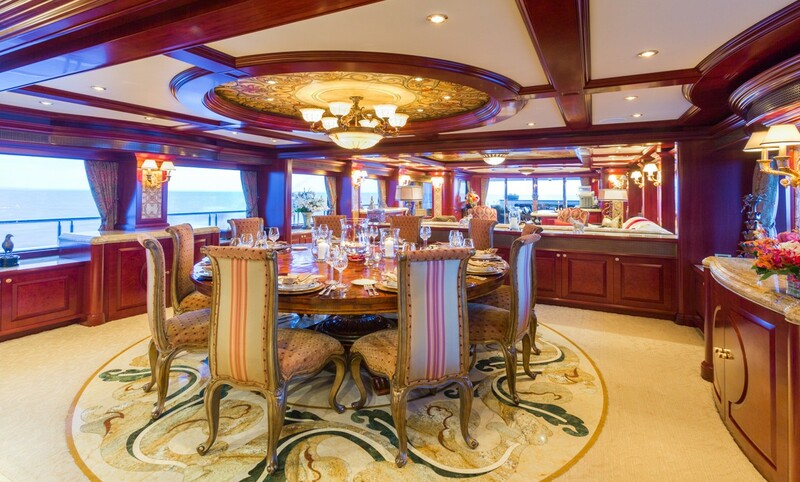 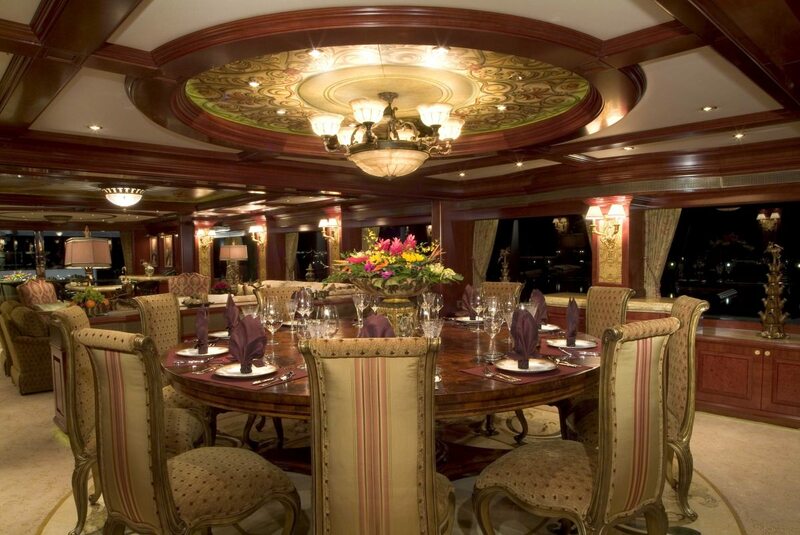 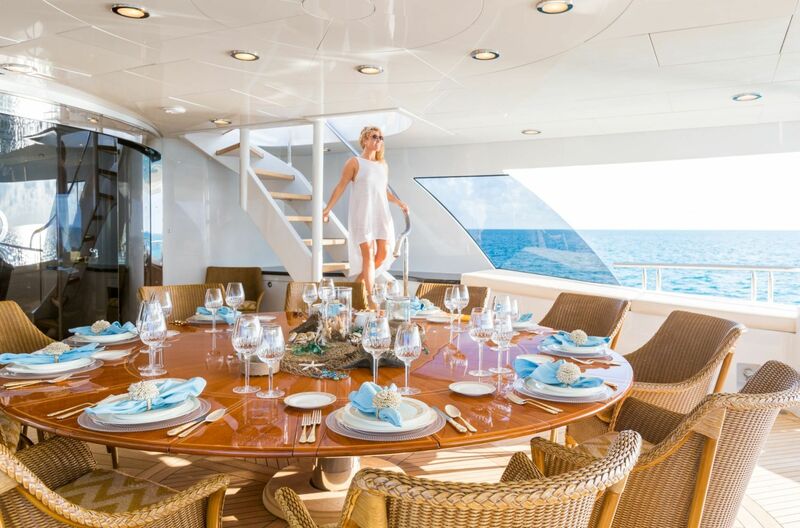 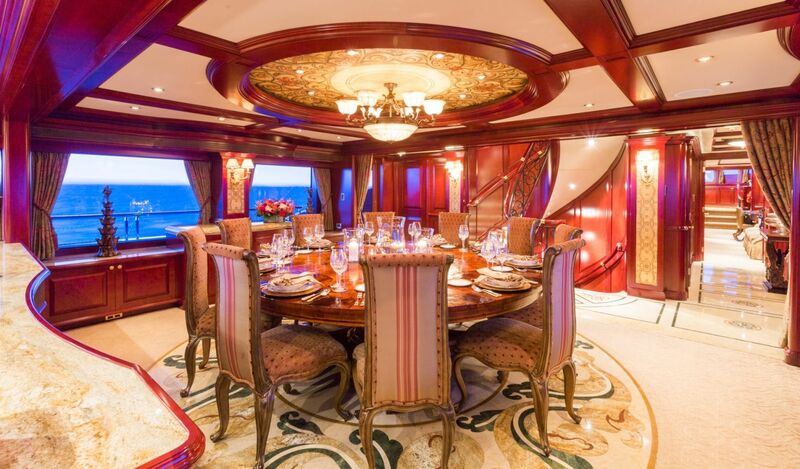 Forward is the formal dining table for ten guests; while aft is a spacious living area with plenty of seating and a full entertainment system. 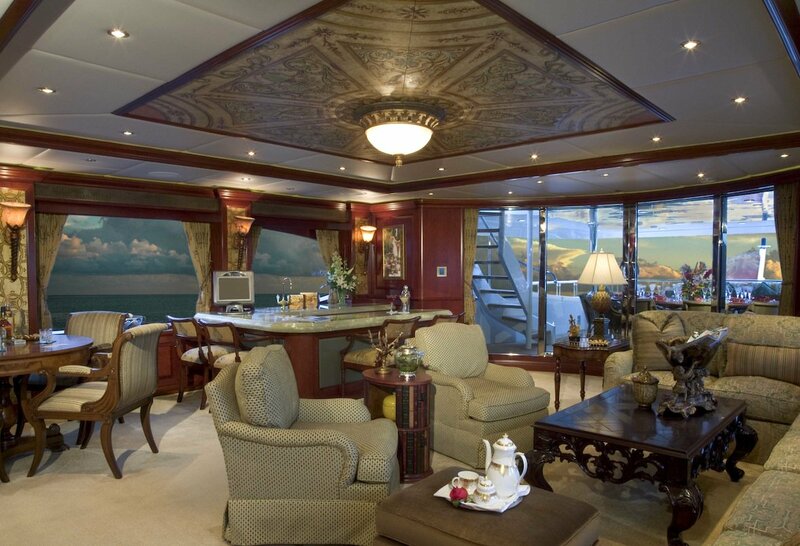 There are also hand-painted ceiling murals which add to the feeling of space. 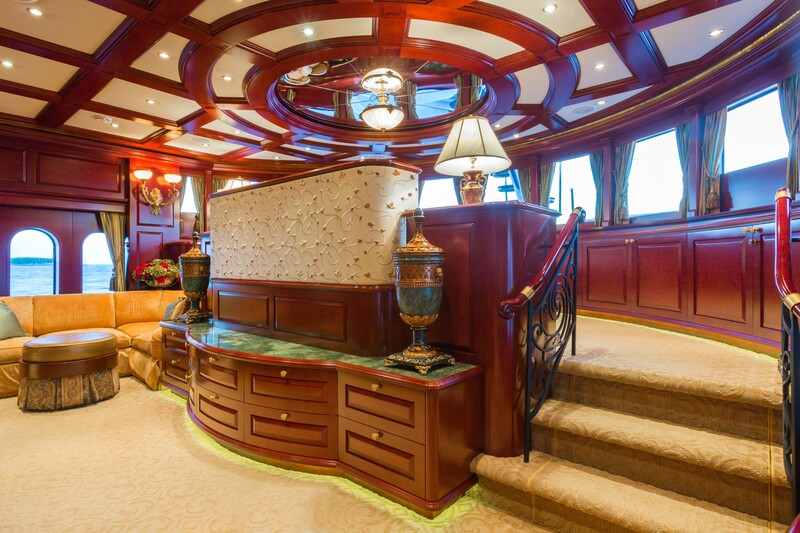 The interior is traditional featuring raised paneling in American Cherry, Maple Burl and Figured Bubinga with an understated hand polished finish. 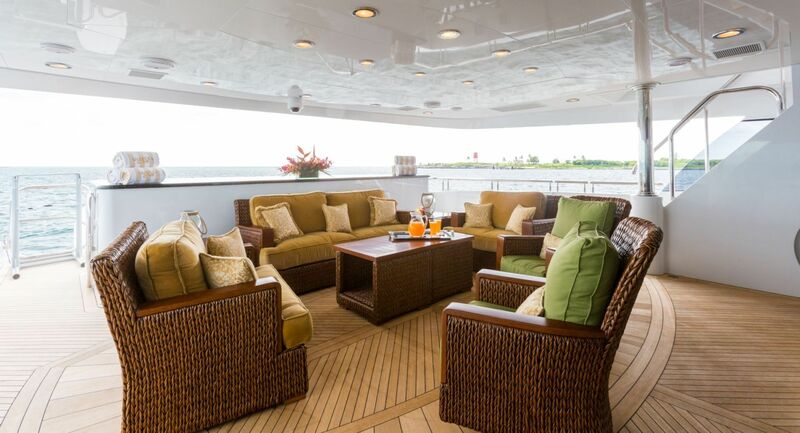 The exterior furniture is also elegantly done in teak and woven materials with a deep Java chocolate finish. 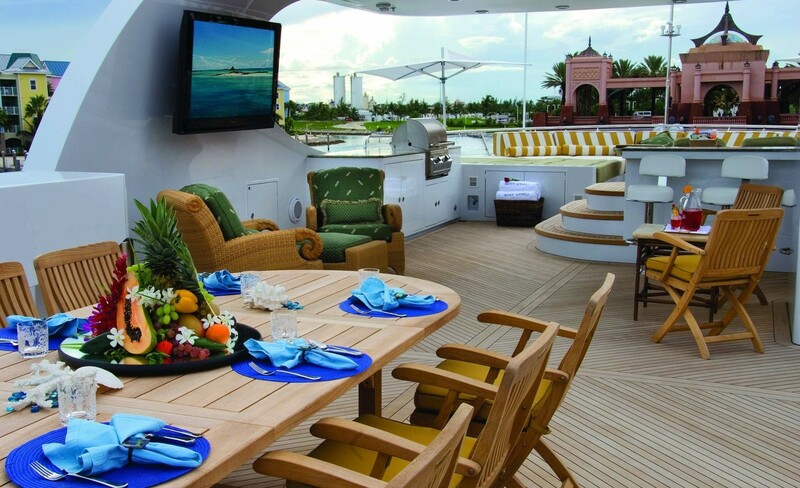 On the upper aft deck, there is formal dining again for ten people, as well as another plasma TV and ample comfortable casual seating. 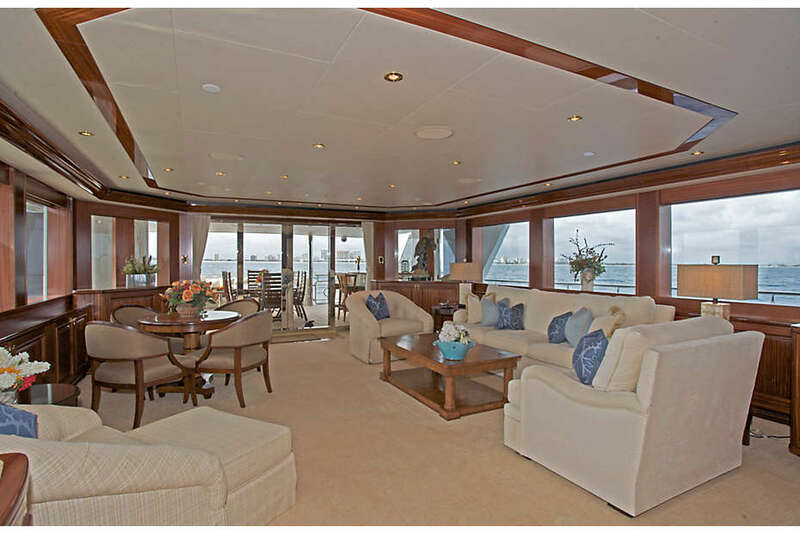 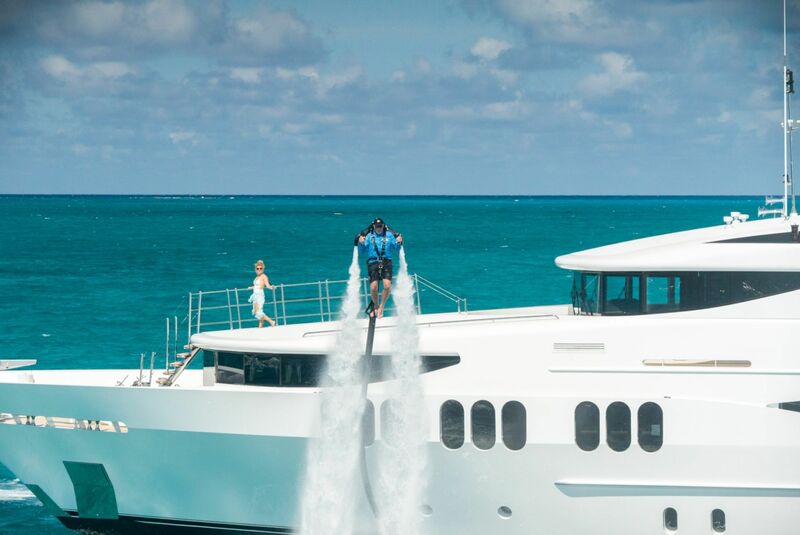 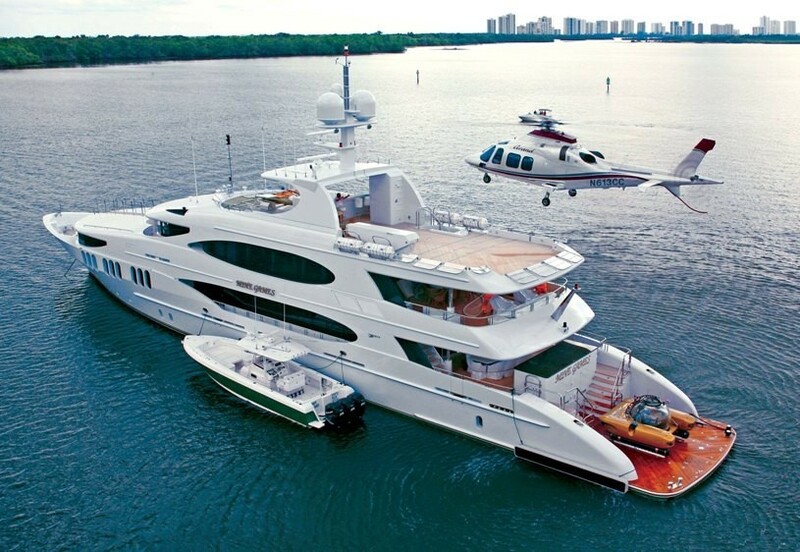 The sky lounge opens out onto a covered aft deck through two electric sliding doors. 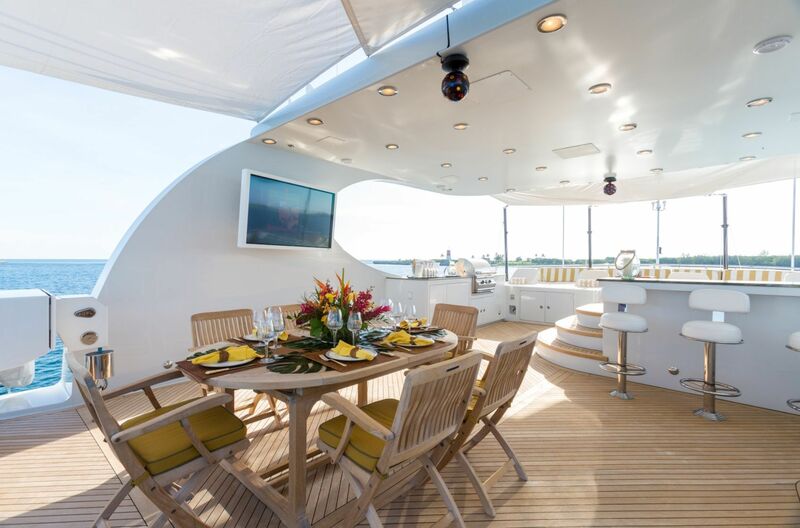 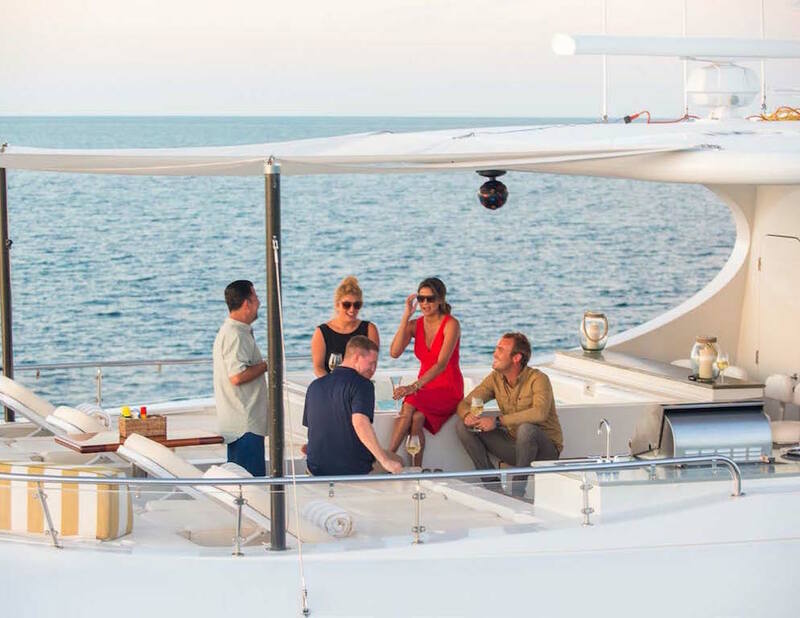 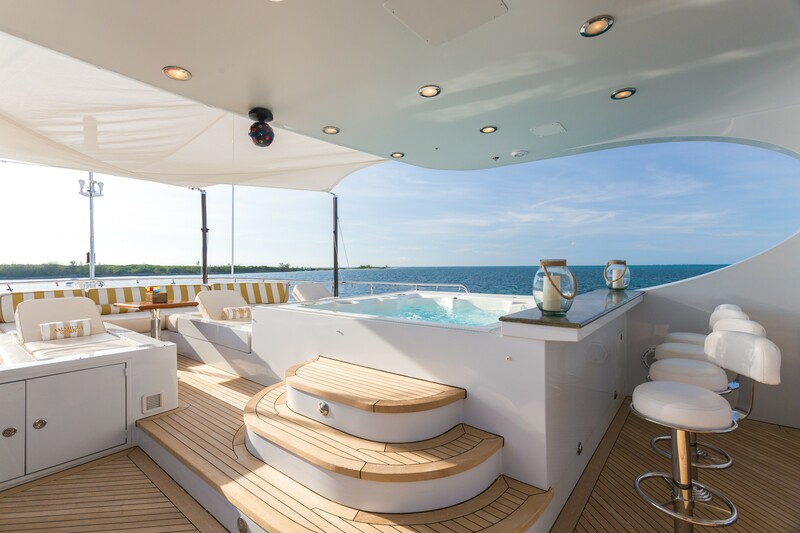 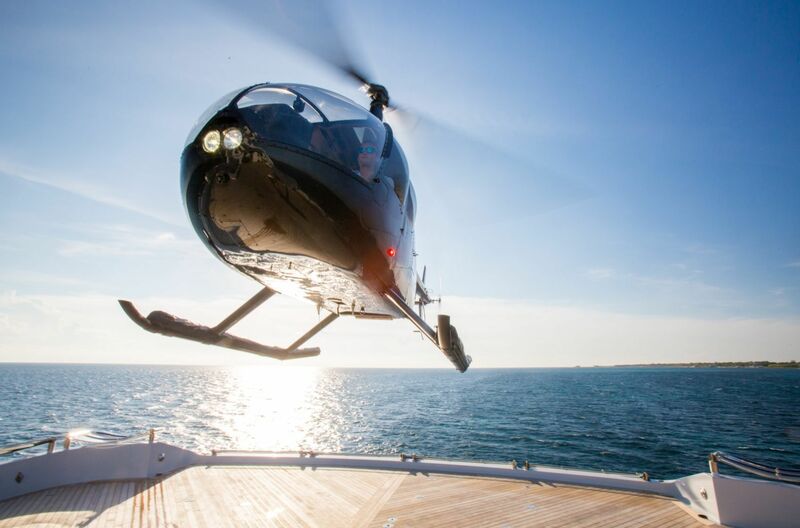 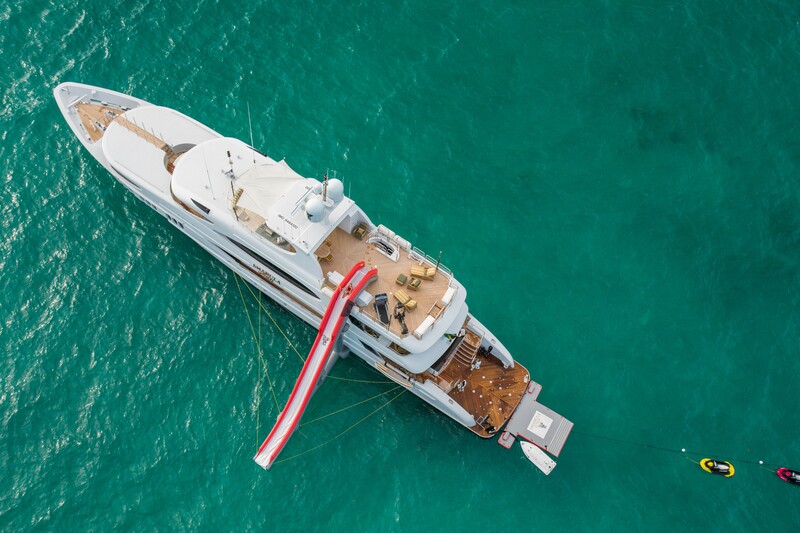 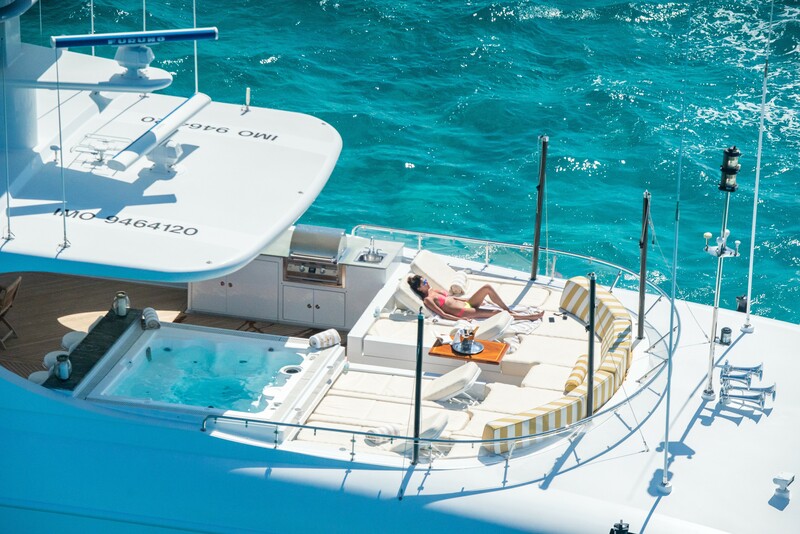 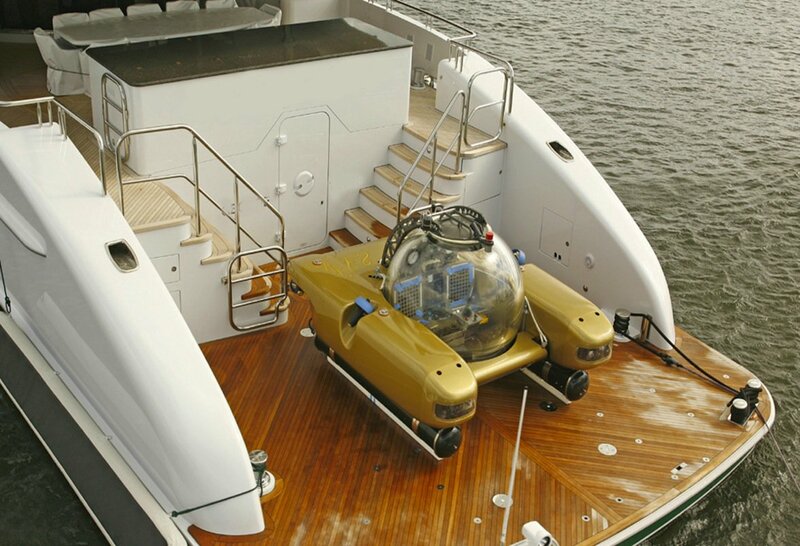 The sky lounge aft deck has a powered hi-low roundtable with expanding leaves that are stored under the table top when in the retracted position, a unique and stunning table. 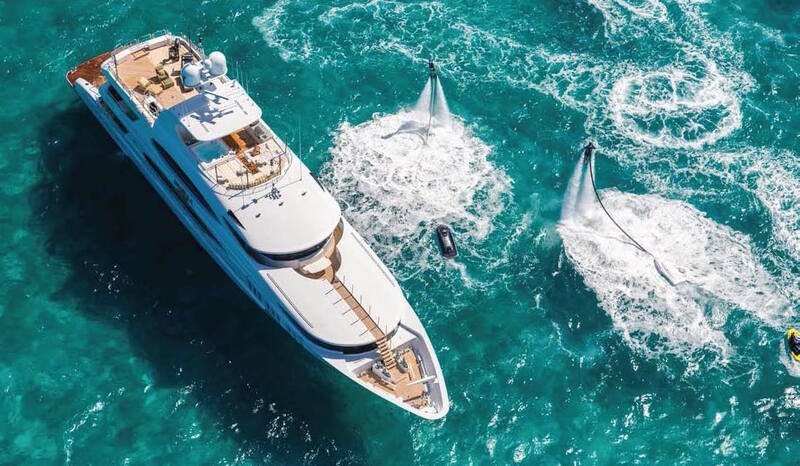 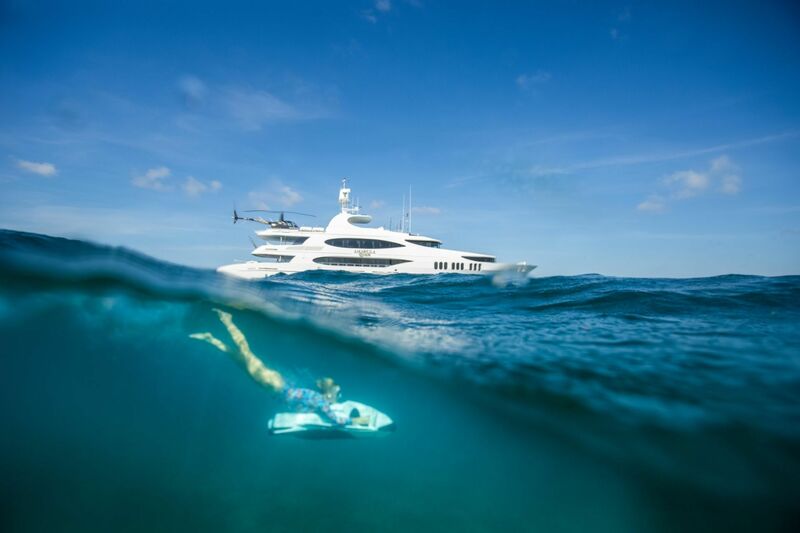 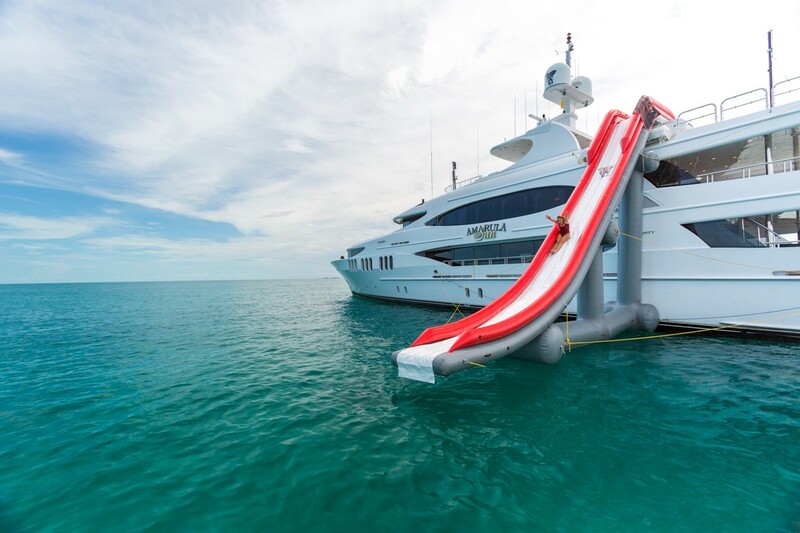 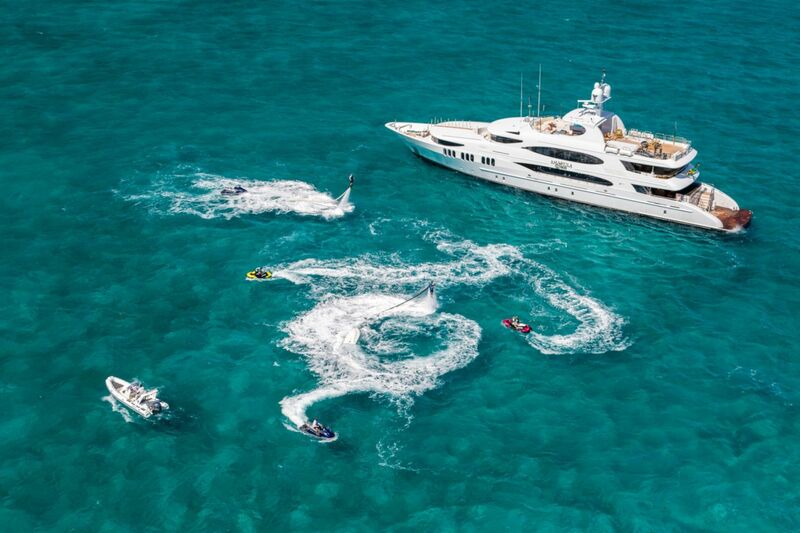 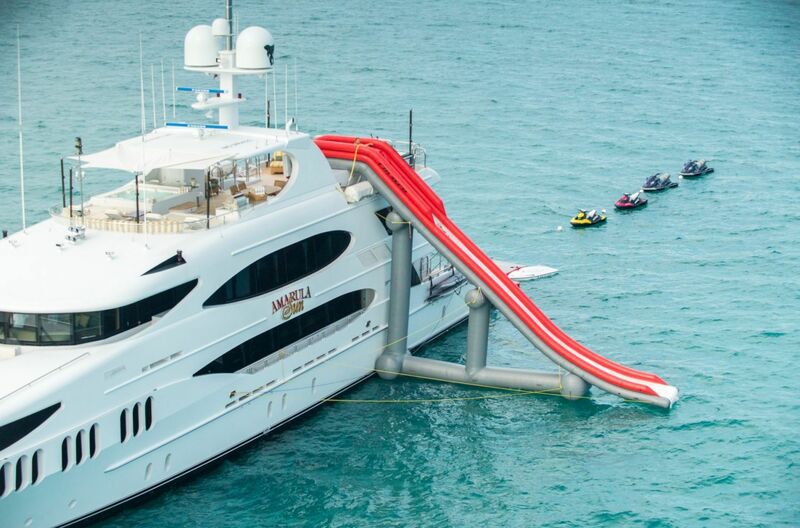 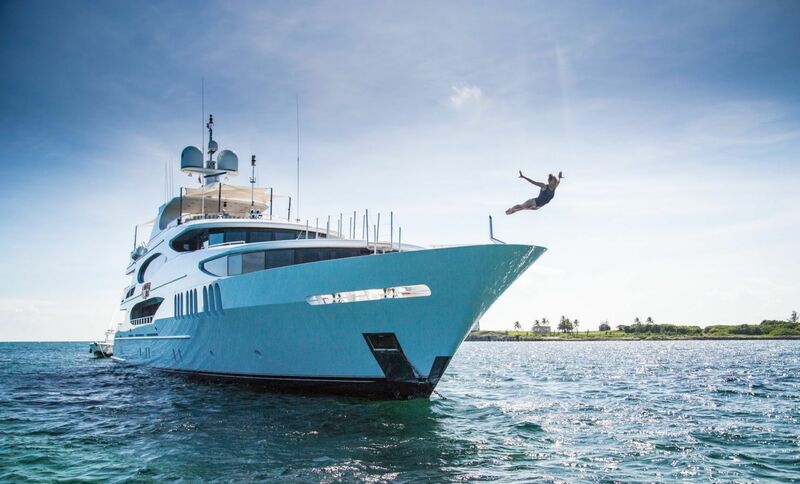 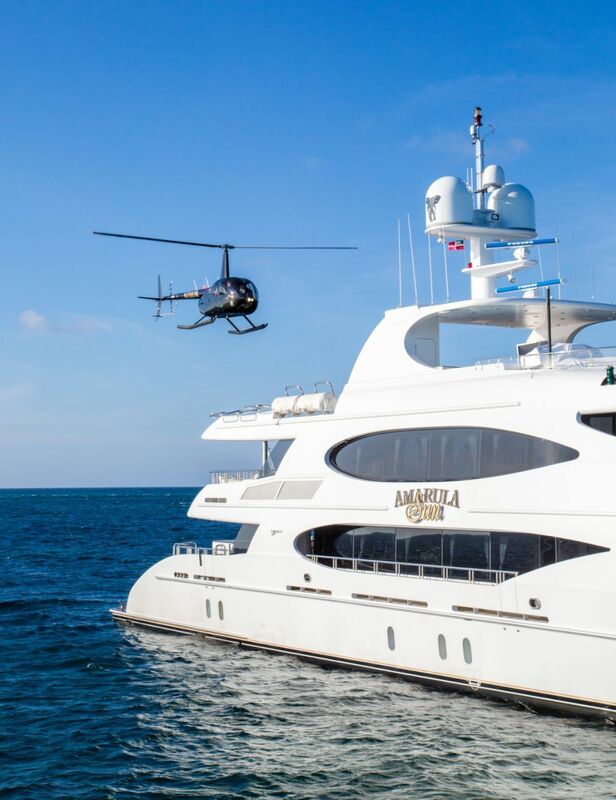 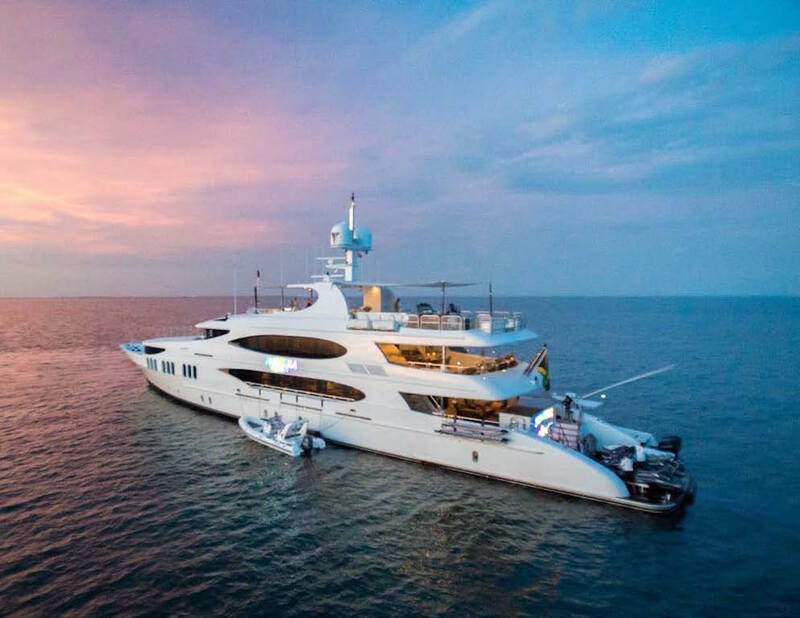 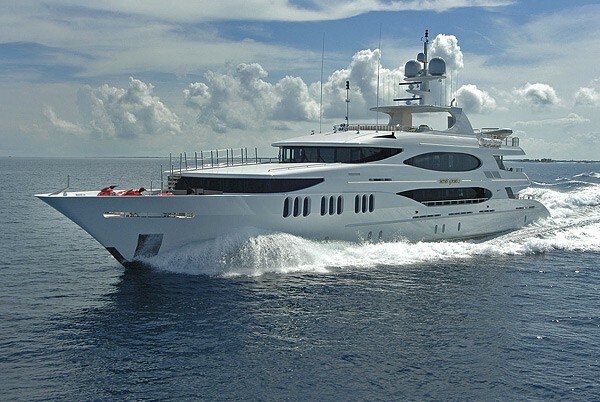 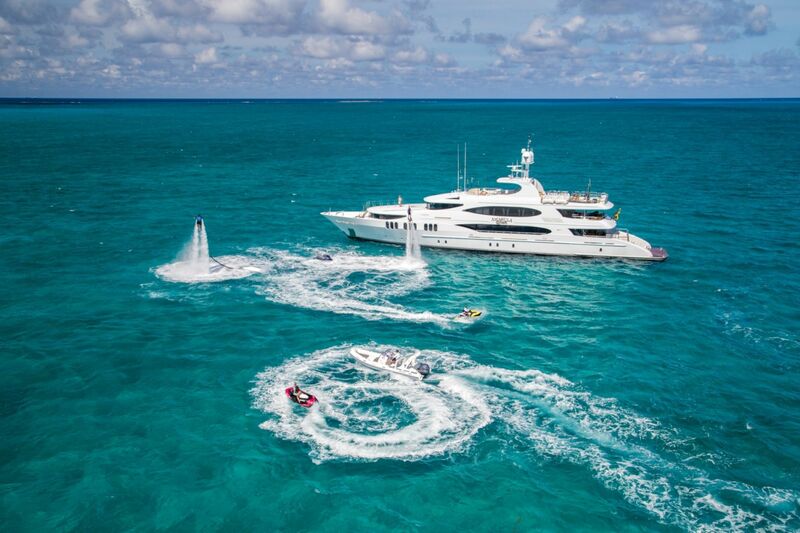 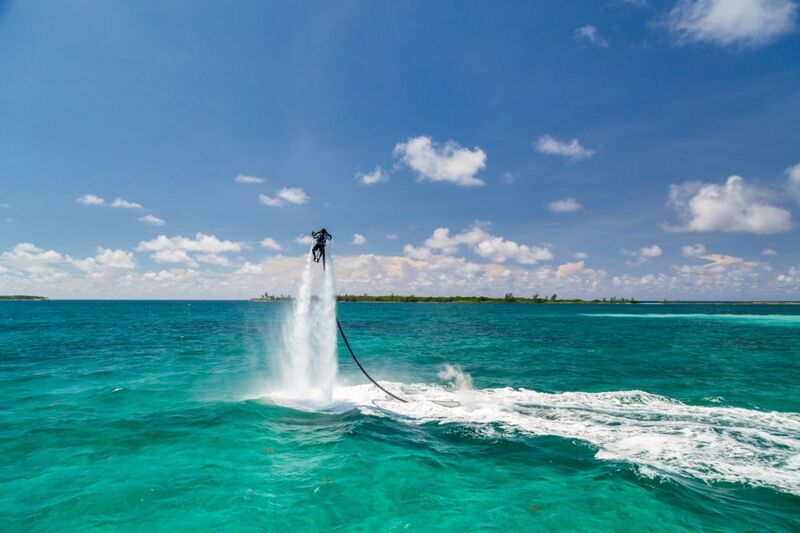 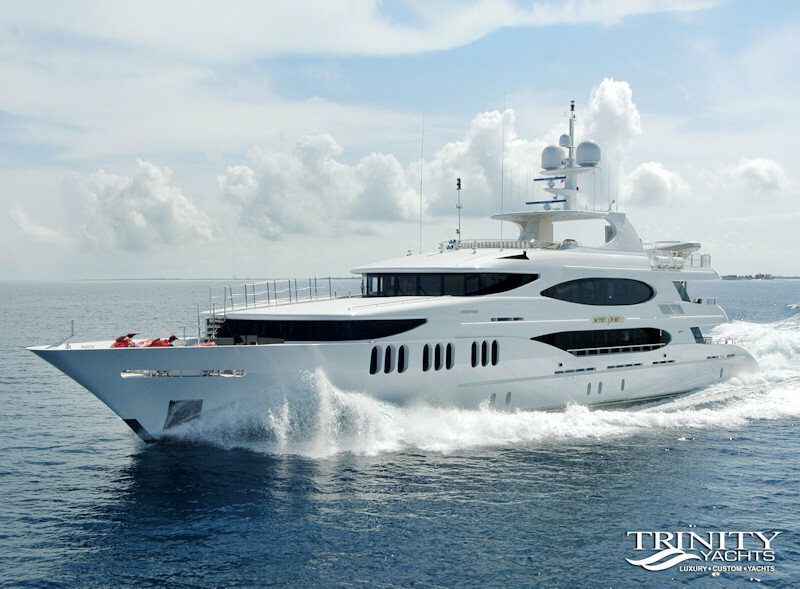 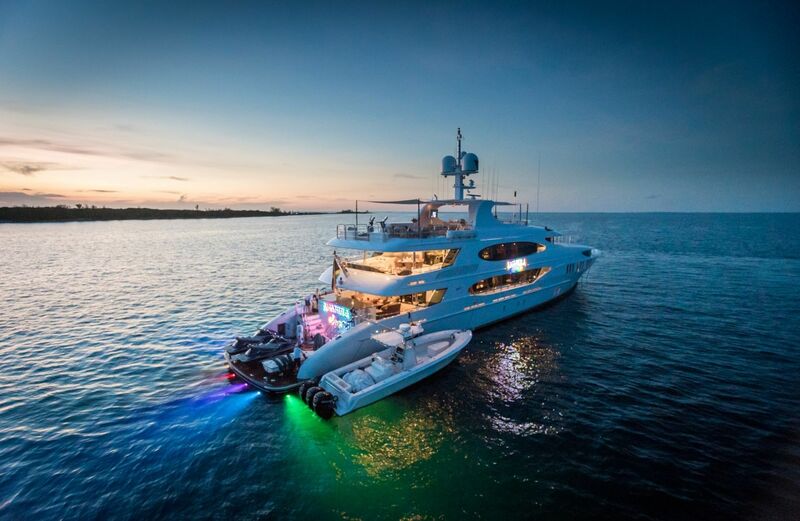 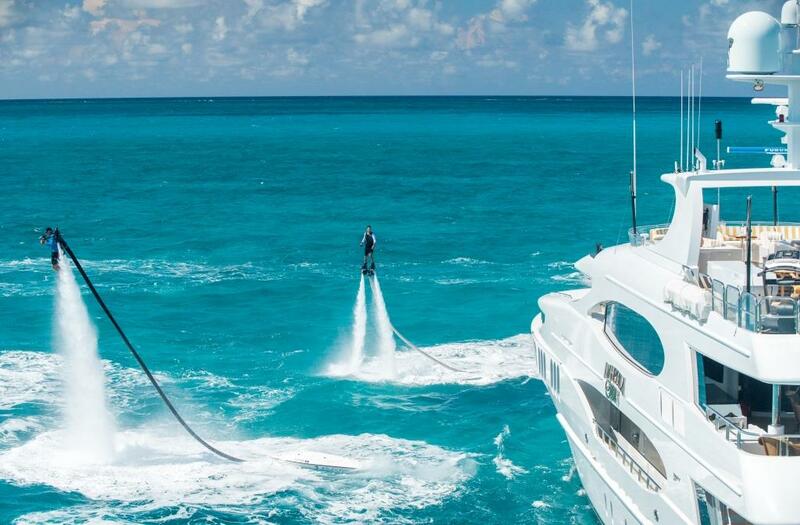 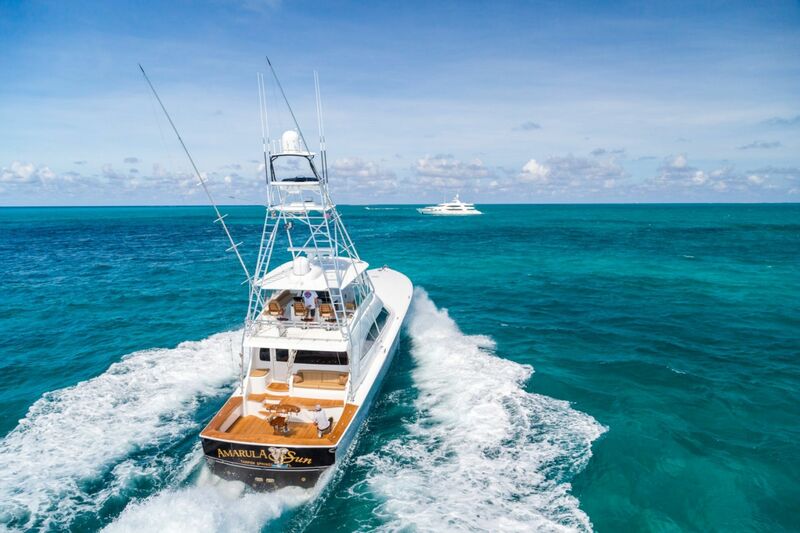 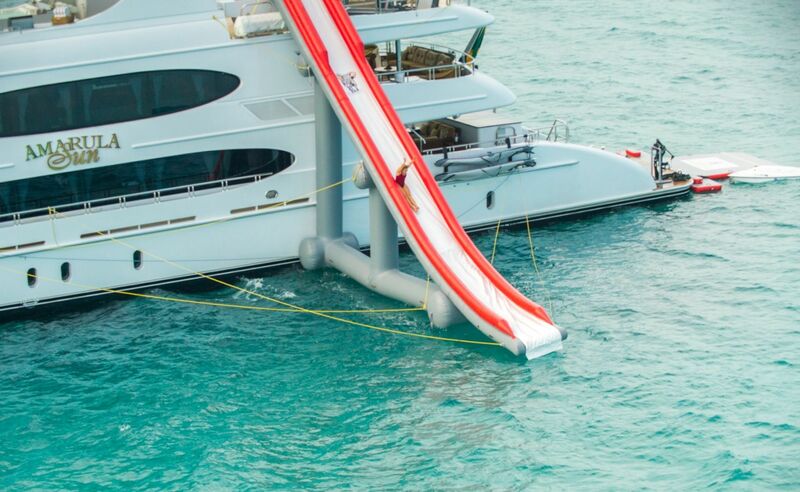 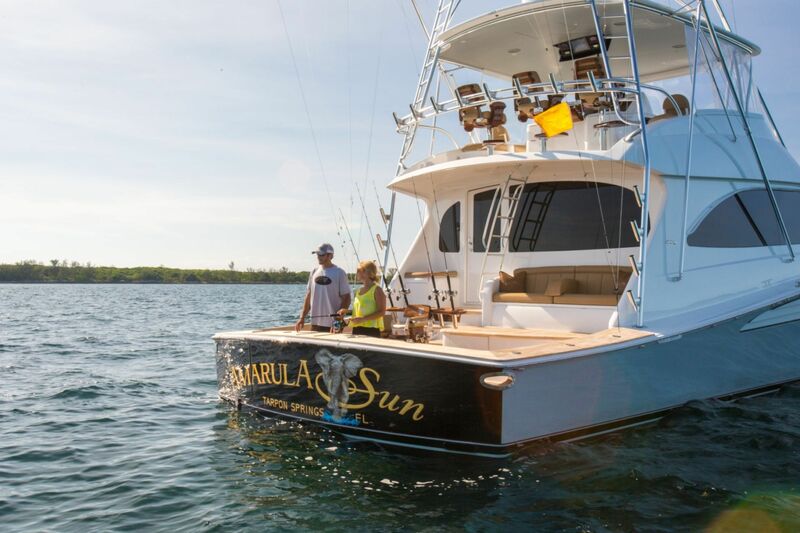 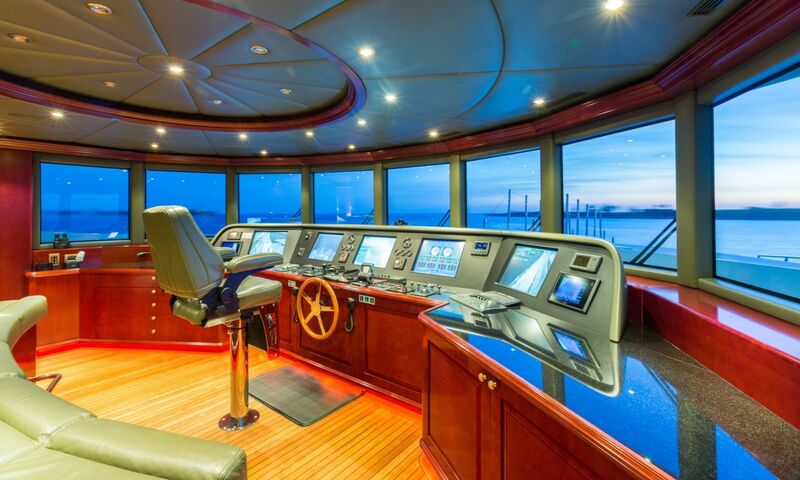 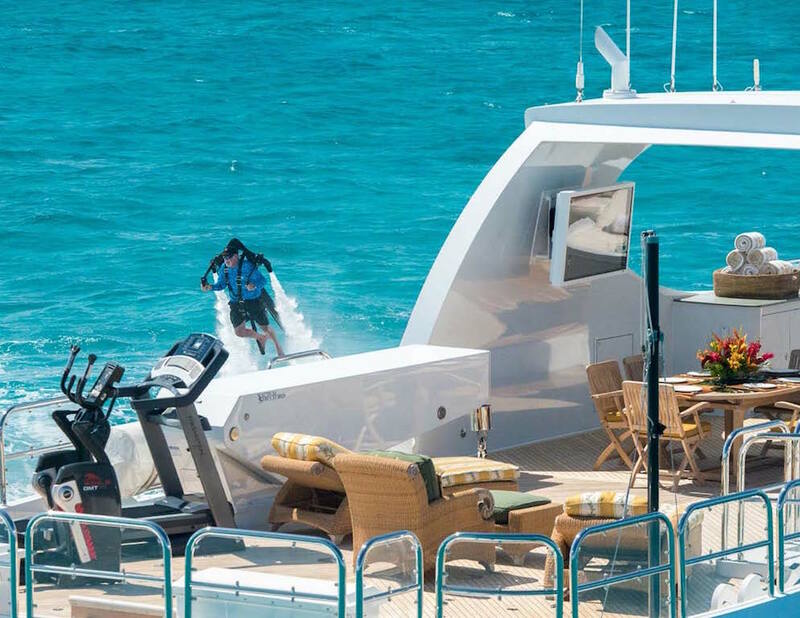 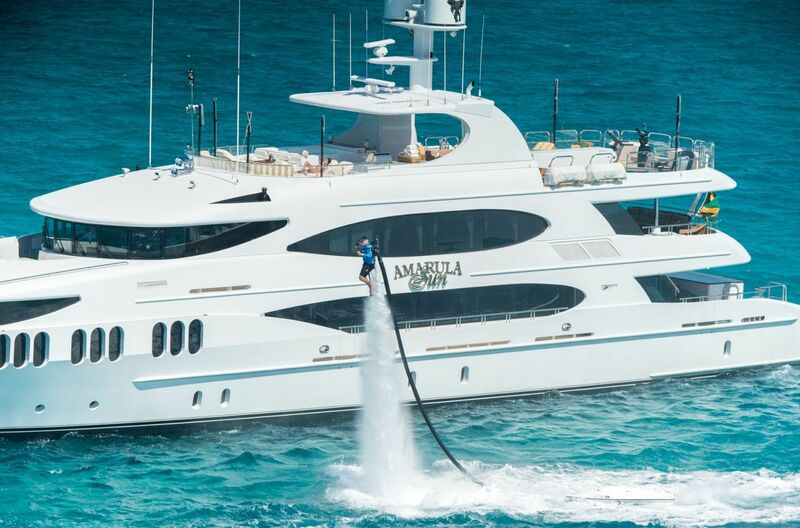 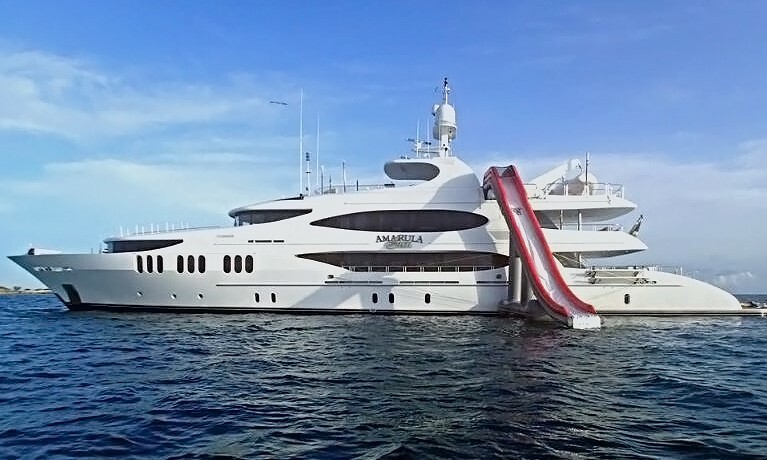 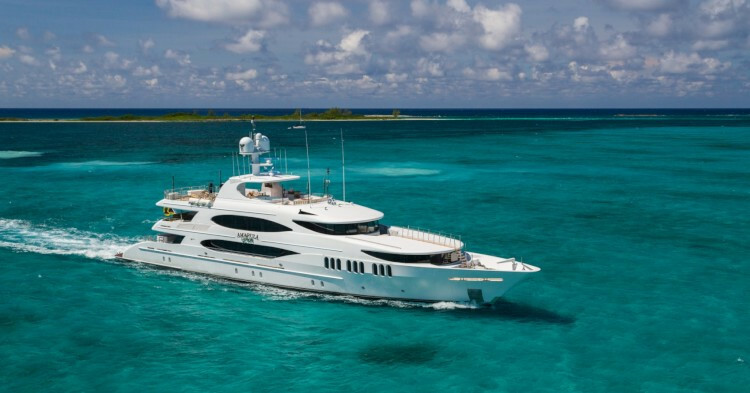 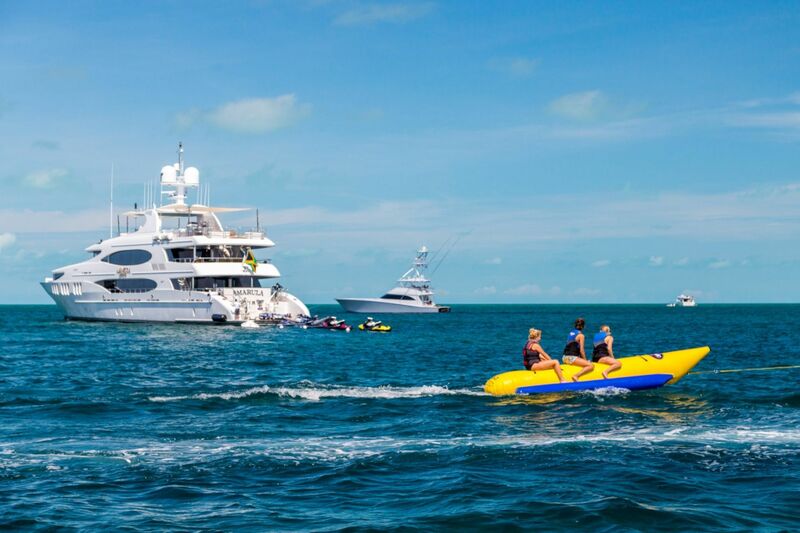 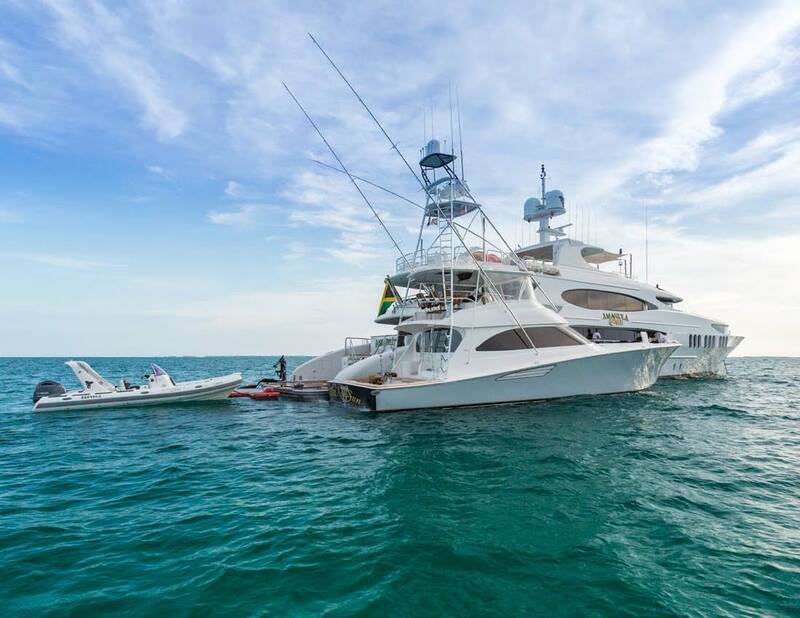 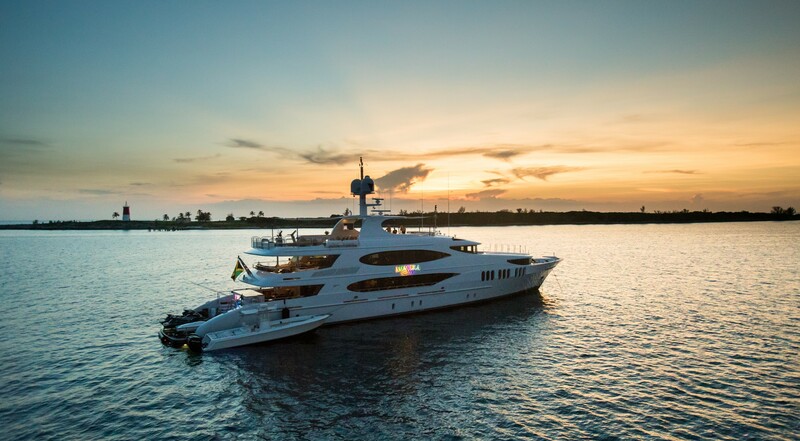 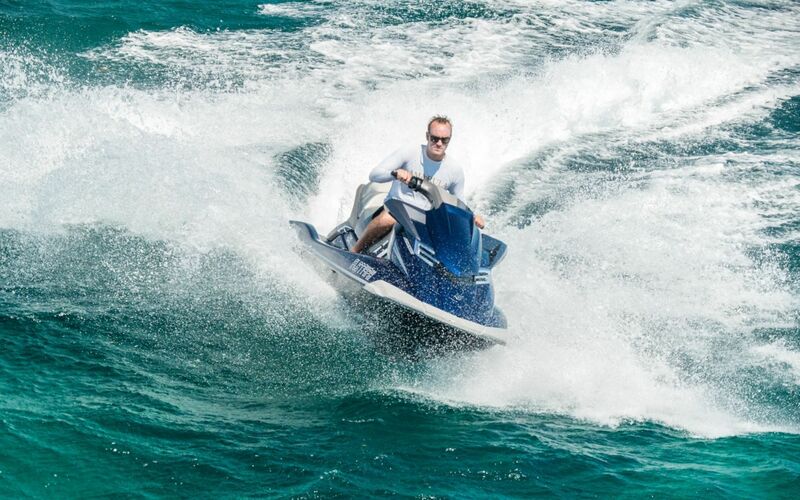 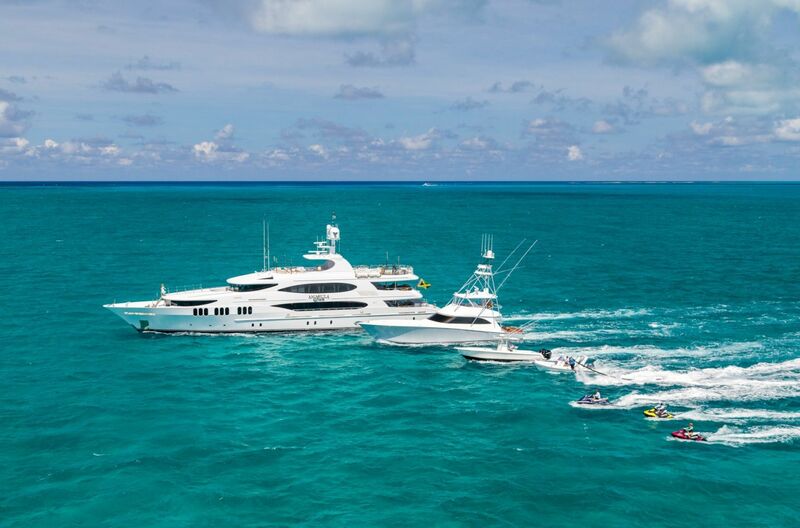 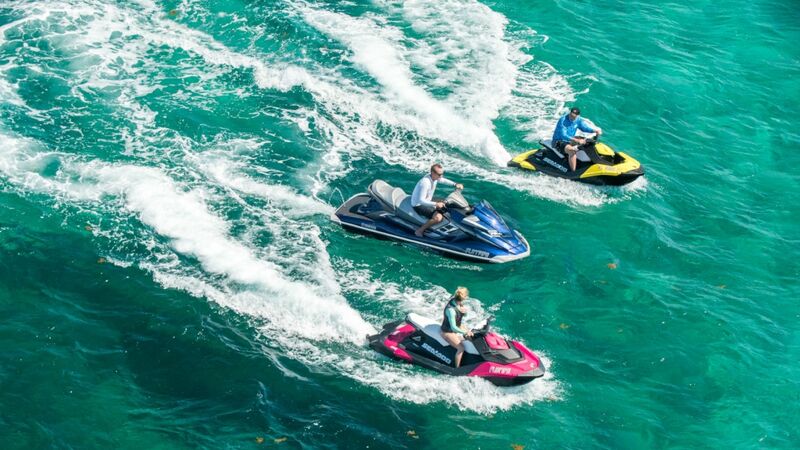 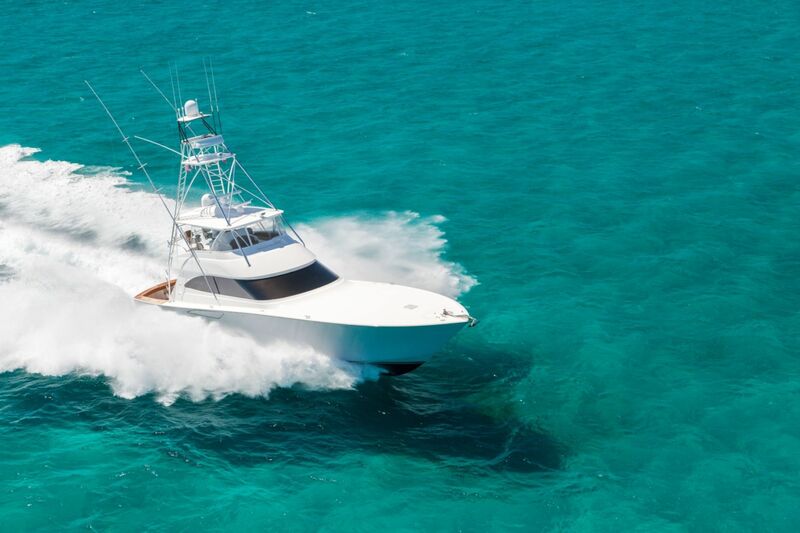 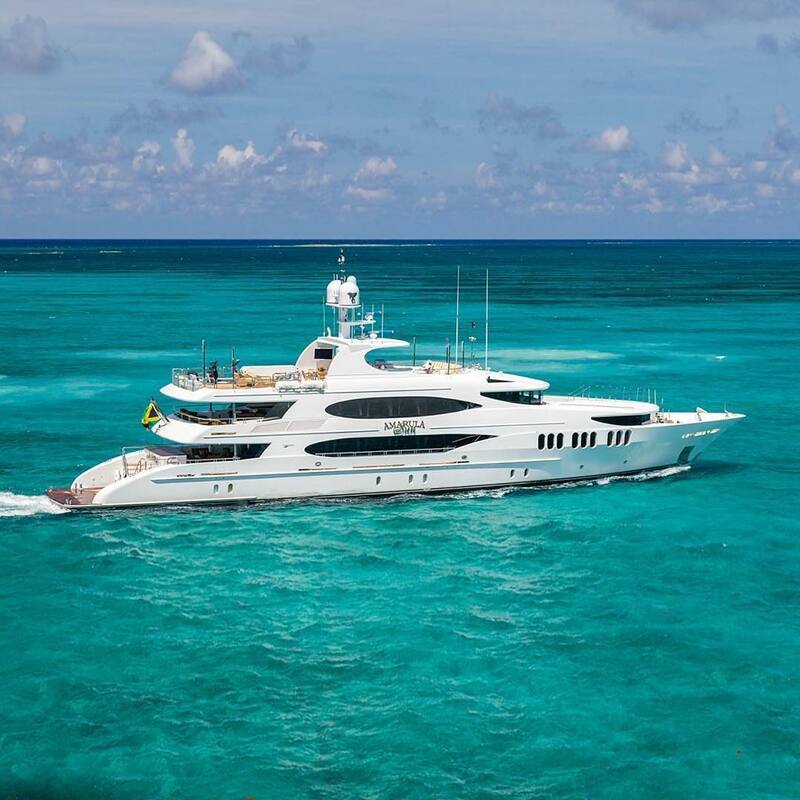 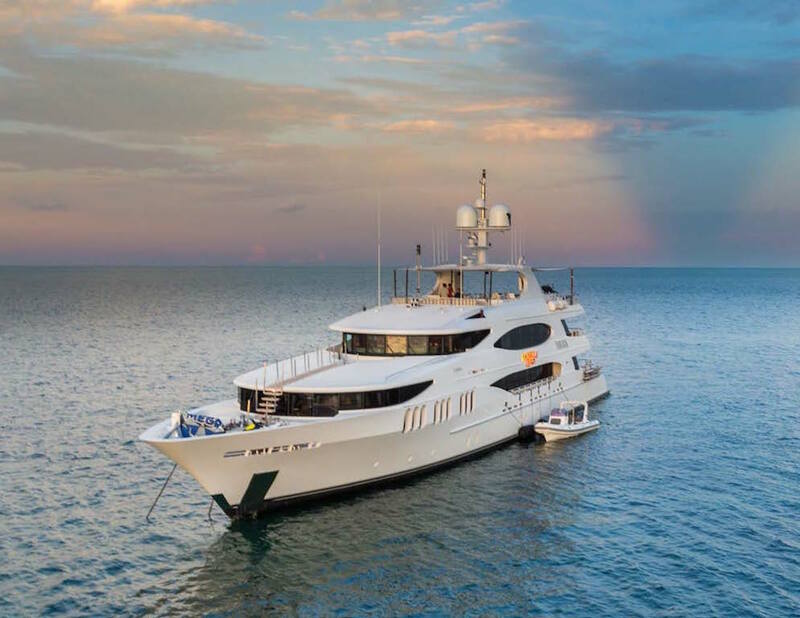 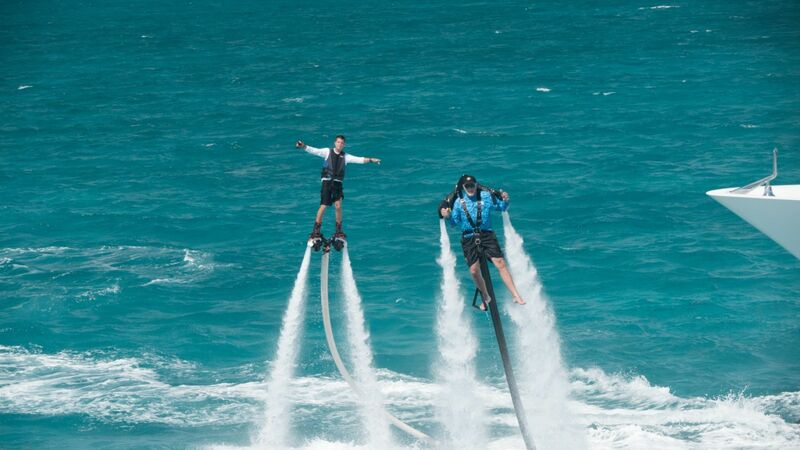 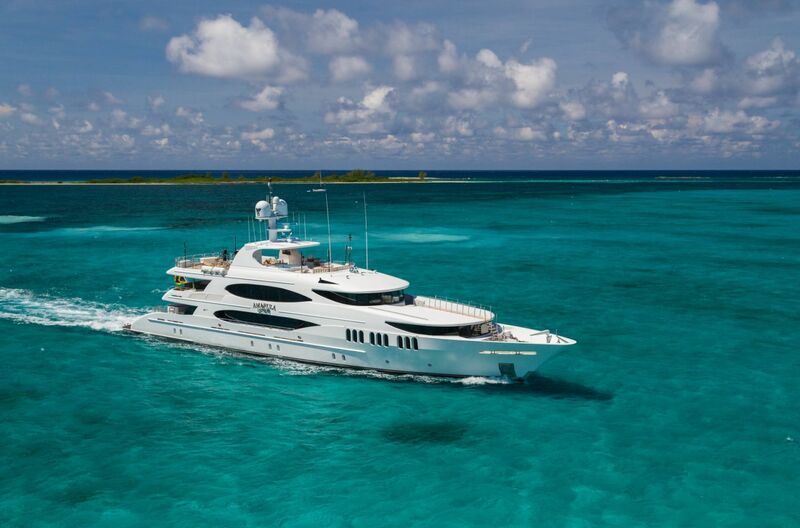 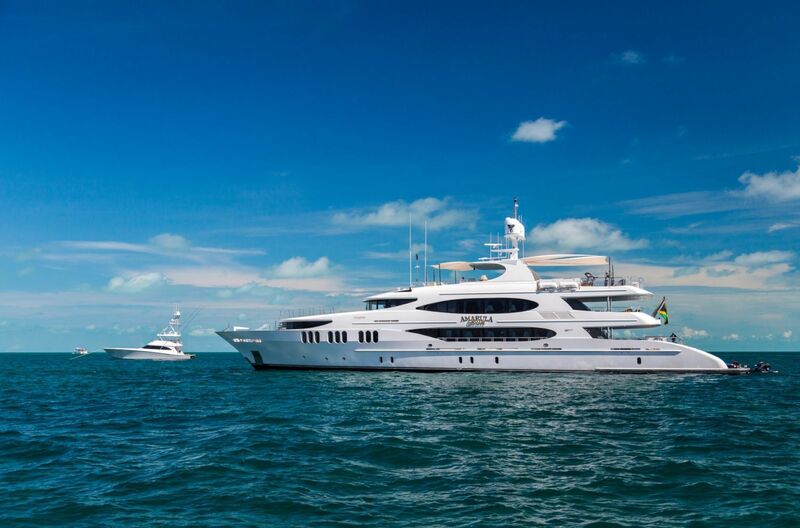 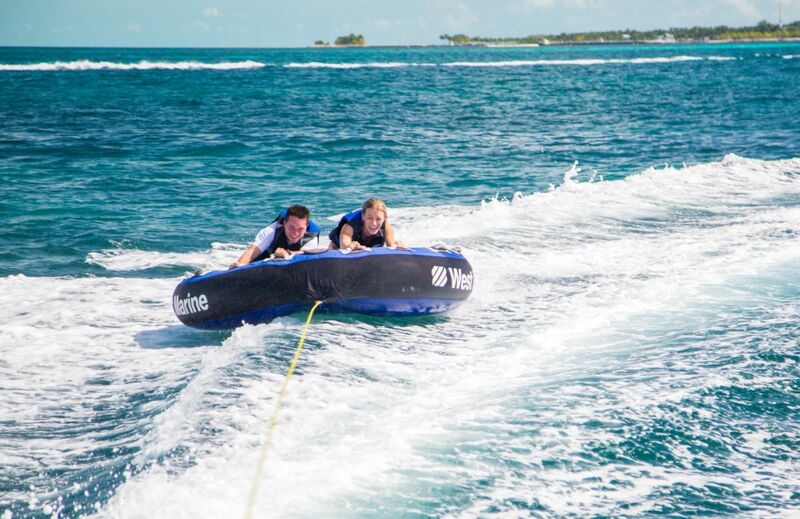 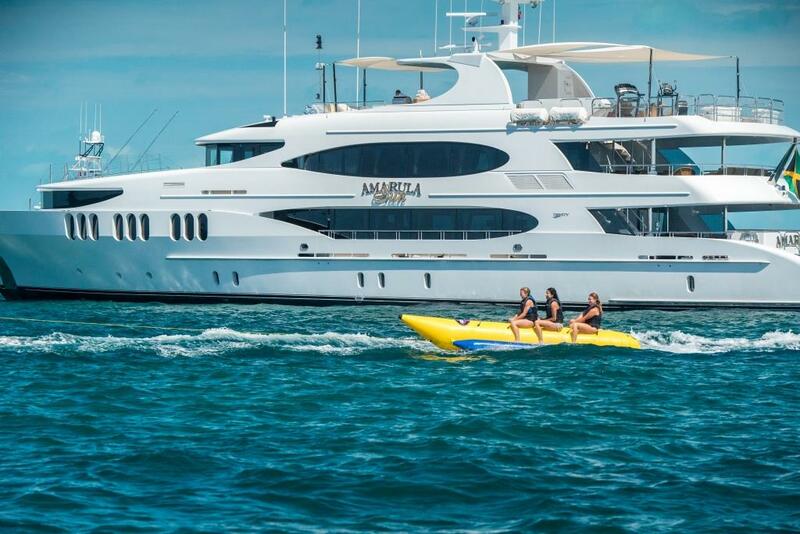 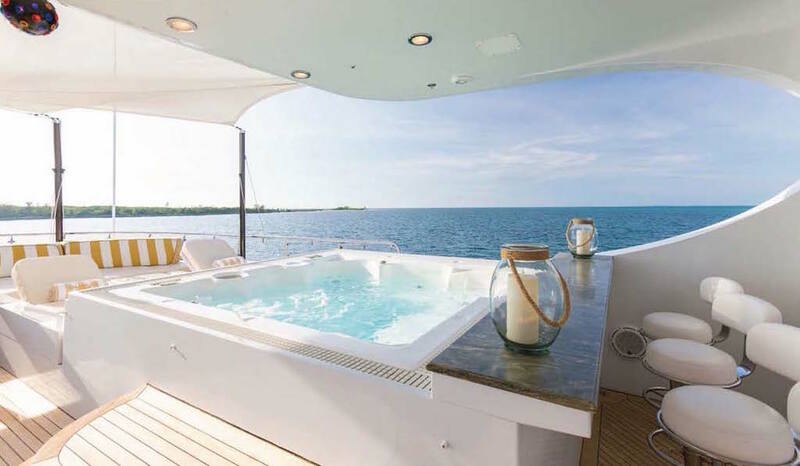 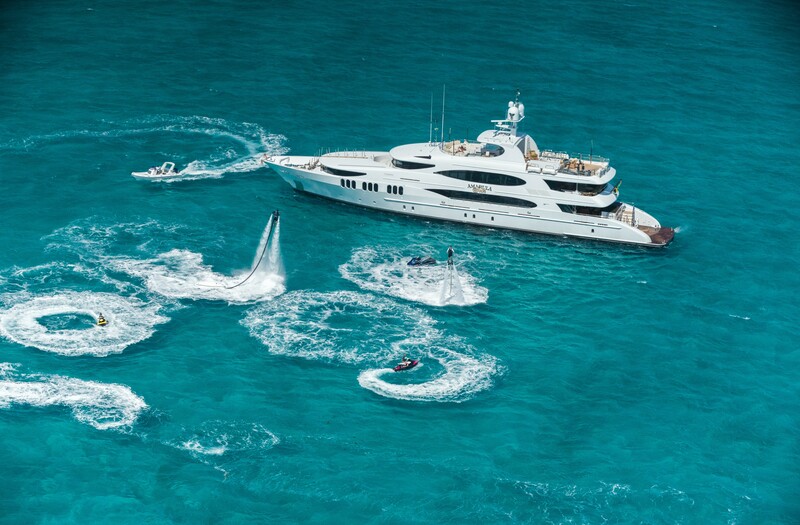 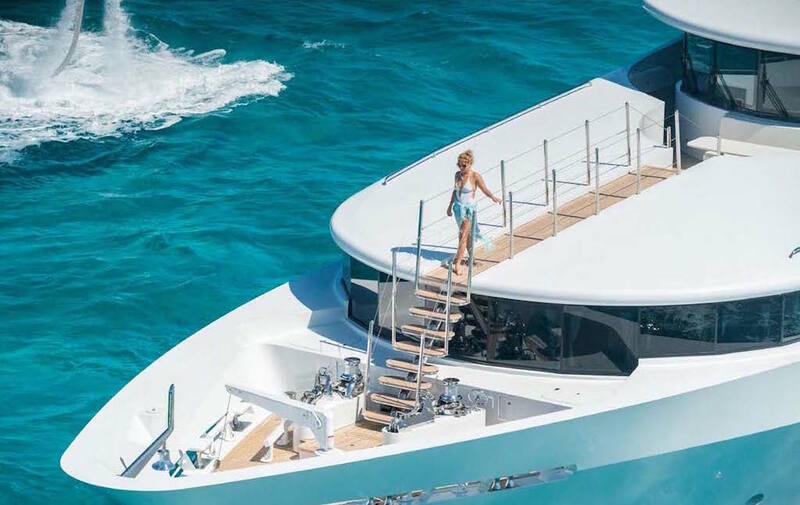 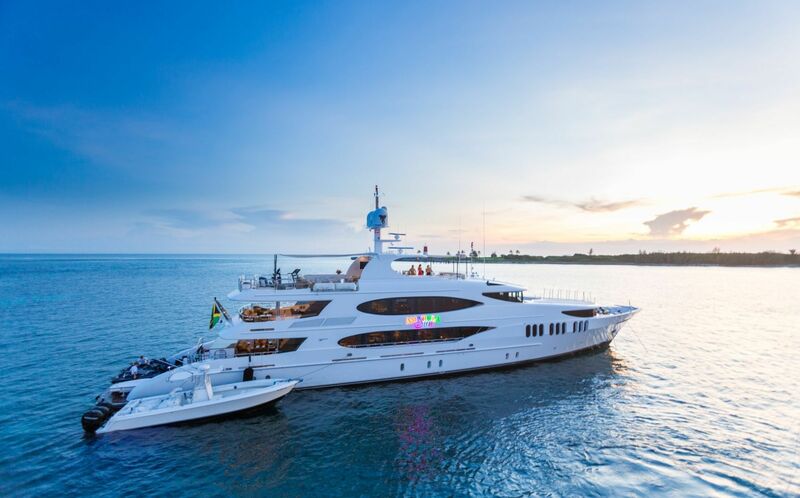 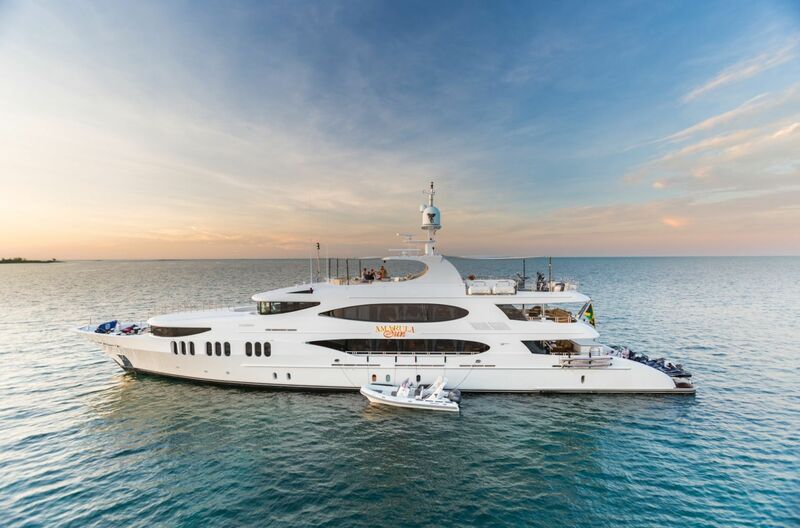 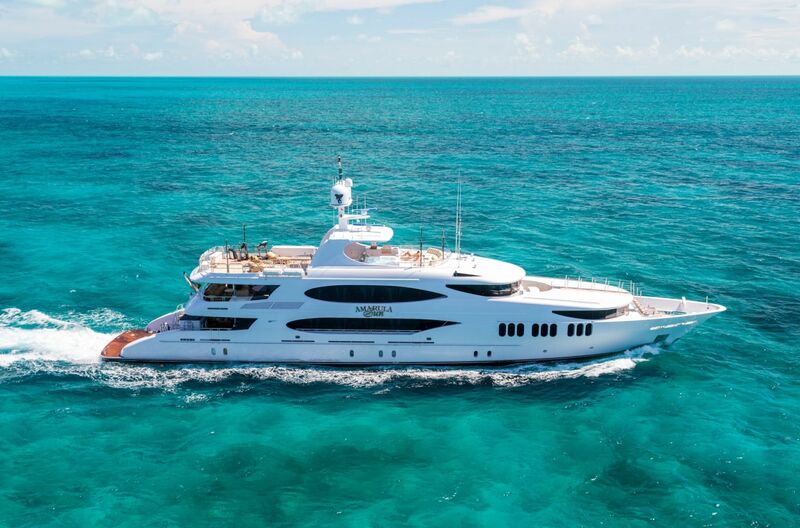 Other features of luxury yacht AMARULA SUN include Quantum Zero Speed (at anchor) stabilizers, Xbox and Playstation media center, independent satellite TV in all guest rooms, and a comfortable seating area forward of the wheelhouse. 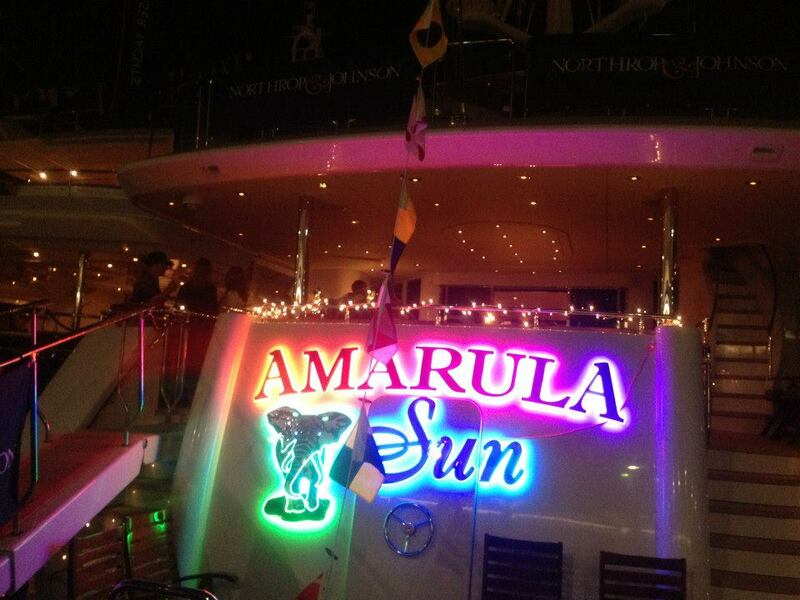 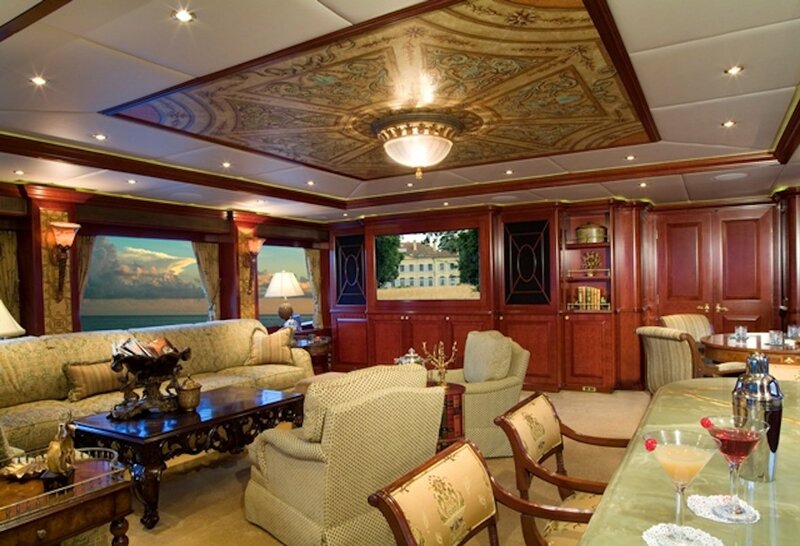 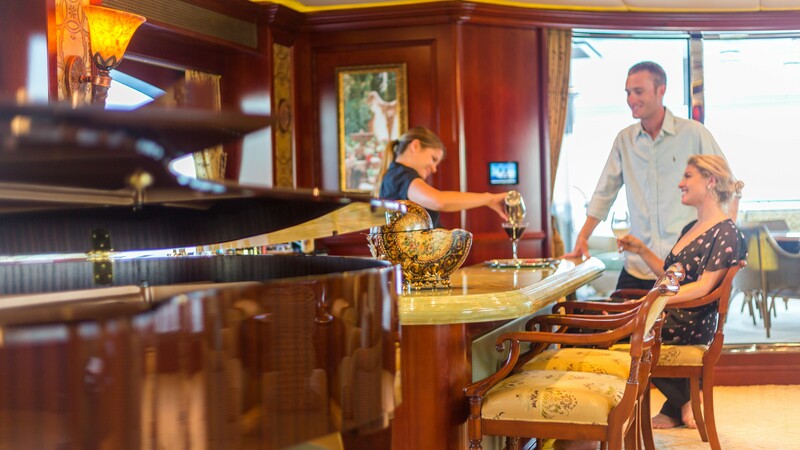 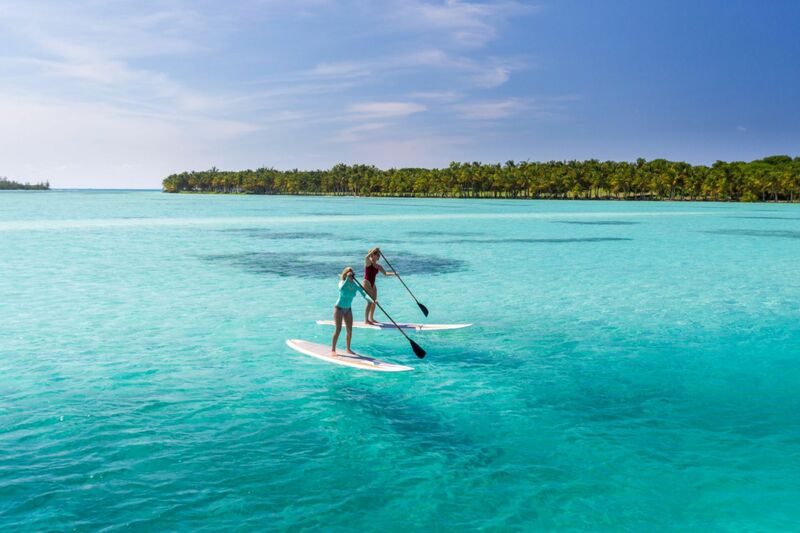 There are five luxurious staterooms onboard AMARULA SUN. 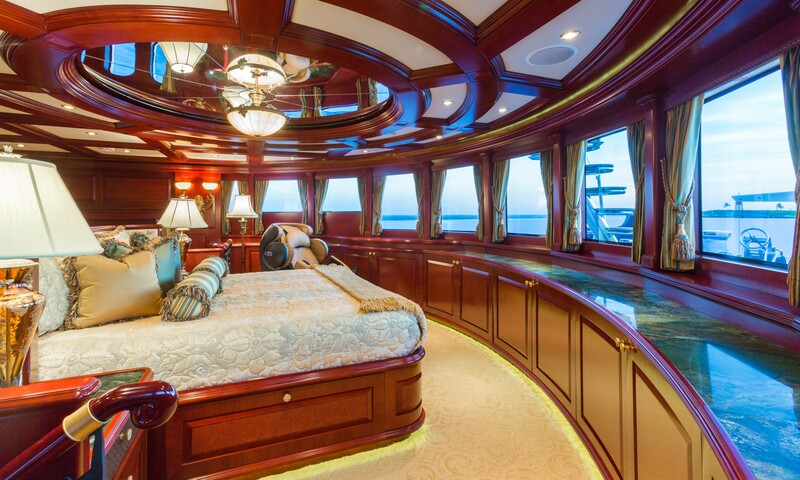 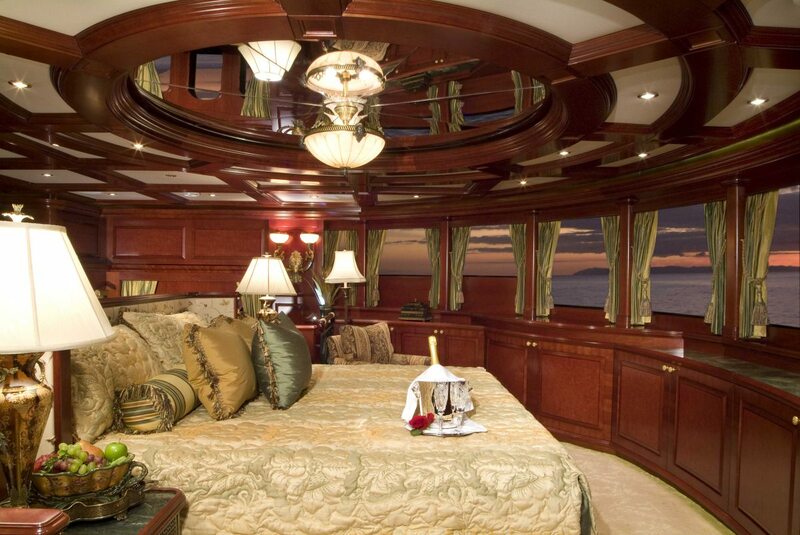 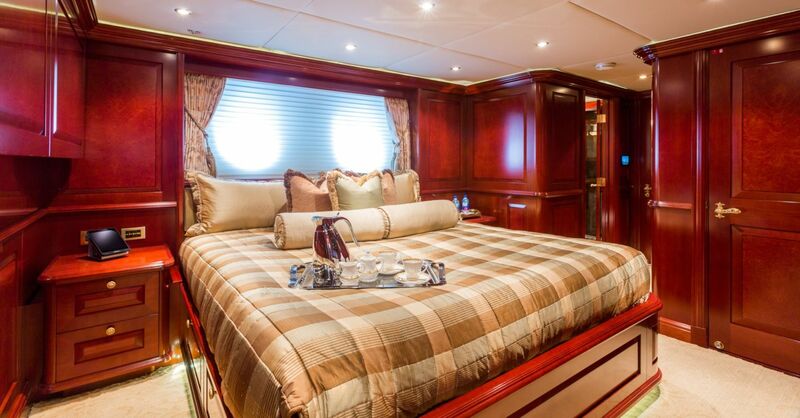 The master stateroom is full beam on the main deck and is split level with a 180-degree view from the King Size bed and a 42-inch plasma TV. 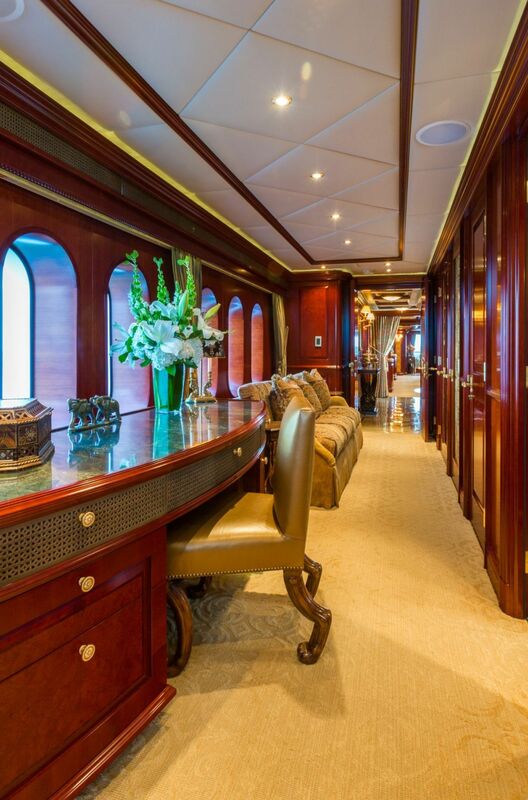 On the lower level, there is a lounge with another 42-inch plasma TV and his and her ensuite bath with tub and a 32-inch plasma TV. 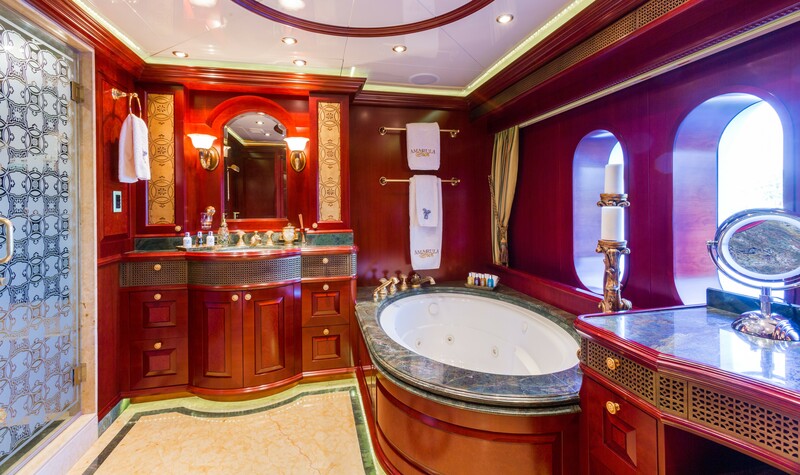 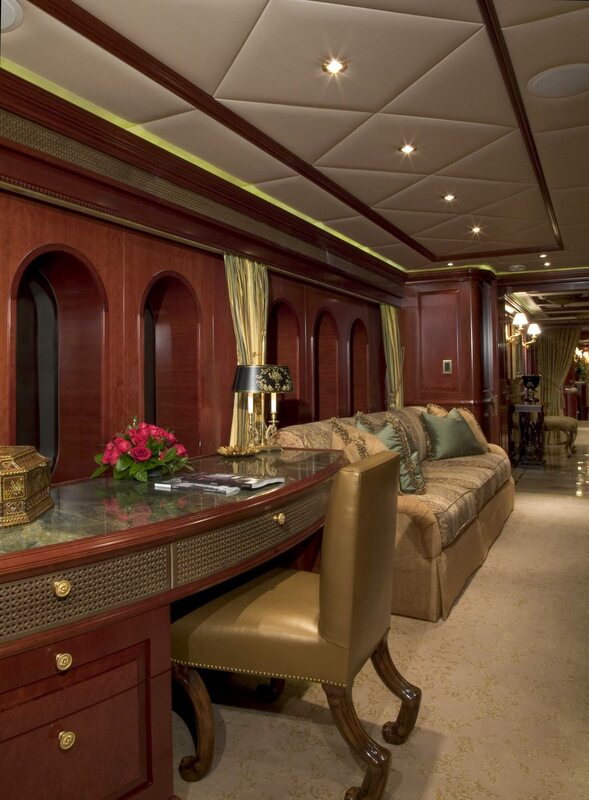 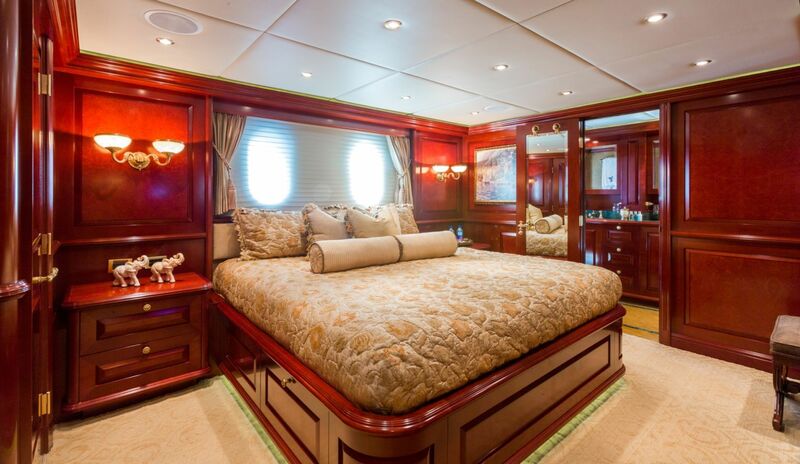 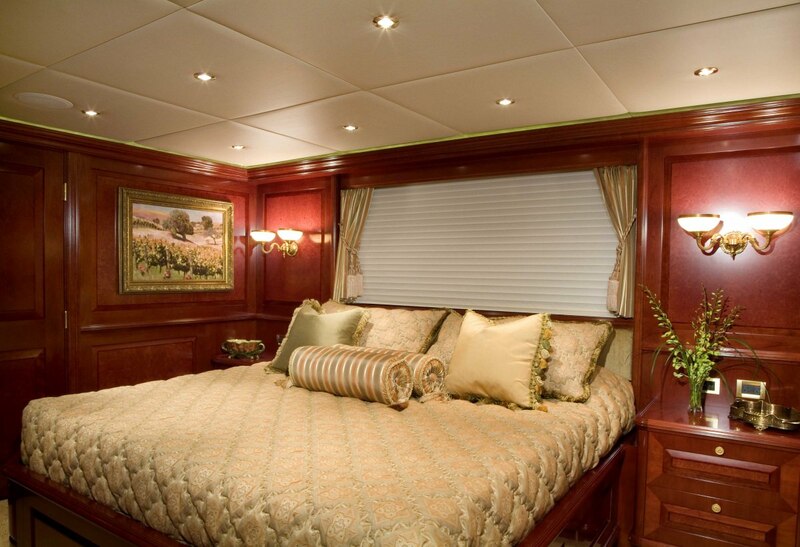 The VIP stateroom is starboard aft and has a king size bed, vanity, desk, and ensuite bathroom with double sinks. 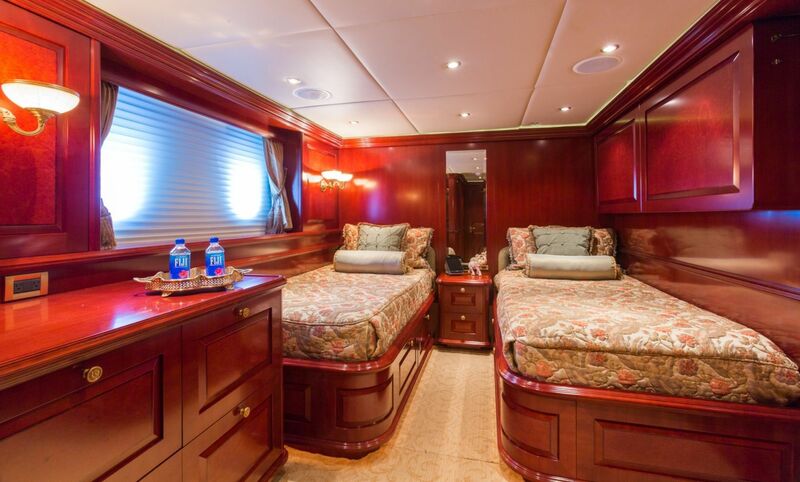 There are two guest staterooms with queen size beds in them, with the third stateroom having twin beds. 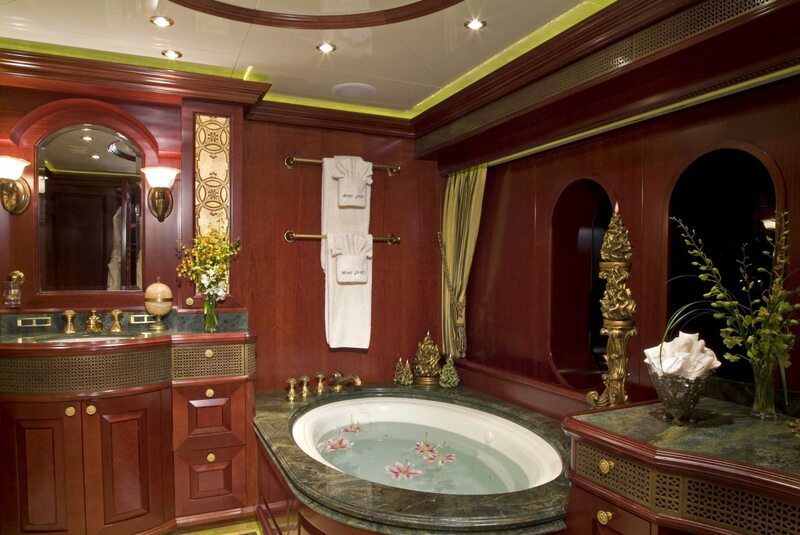 All guest rooms have ensuites and Tvs.